We didn’t commission this book, but we should have. 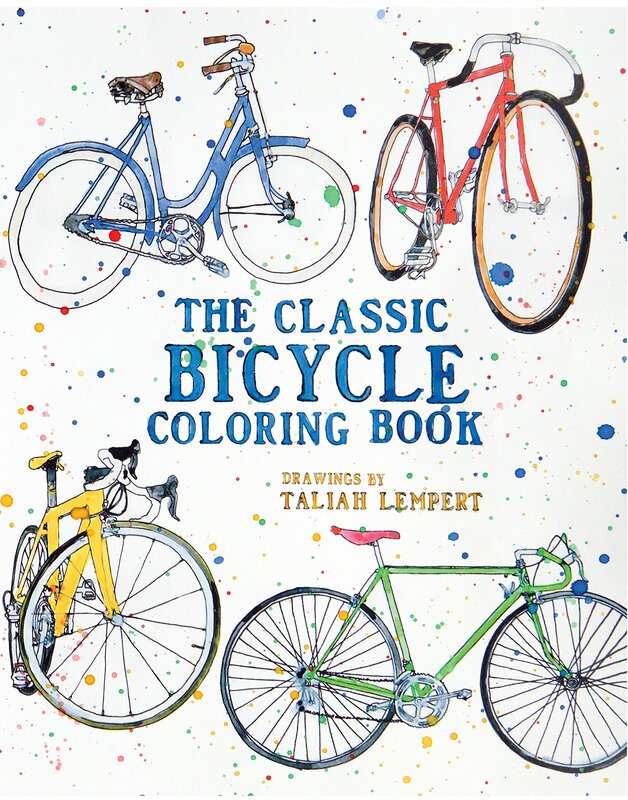 This is The Classic Bicycle Coloring Book by Taliah Lempert. 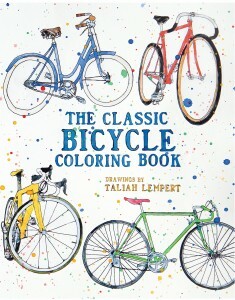 It has racing bikes, balloon-tire bikes and track bikes in it for you to color and enjoy. It’s a great gift for the intermediate to advanced colorer, and if you haven’t colored in 30 years or so, it’s a great reintroduction to one of your favorite pastimes as a kid. Here are some great little lights that fit almost anywhere. 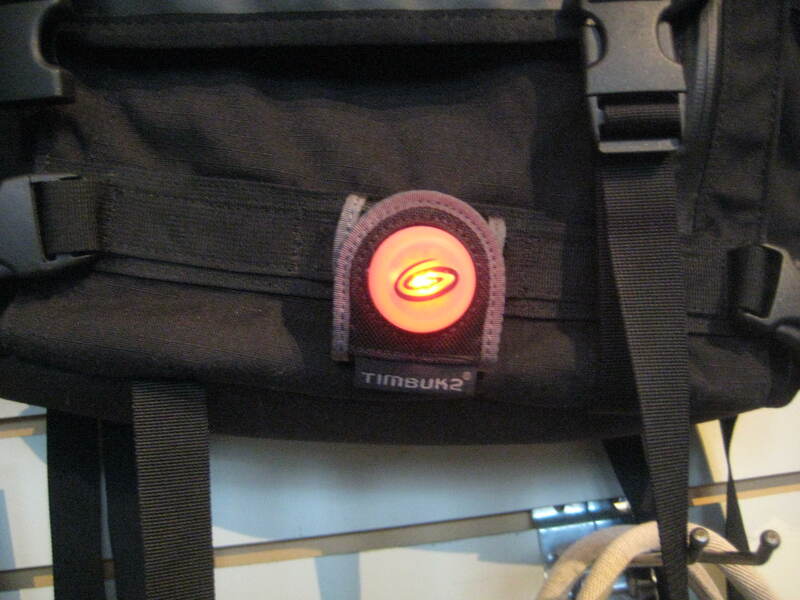 Designed to wrap around webbing straps on backpacks, messenger bags and bike bags, these lights fit anywhere that a little bit of extra visibility would be prudent. These blinky lights are easily secured onto collars, leashes, belt loops, canes, walkers, coffee mug handles, golf clubs, kite strings, shopping carts, snow board boots, handbags and musettes. 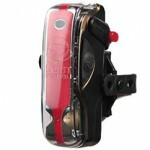 The batteries are replaceable and the lights are water resistant. Only $7. Take a look at the photo to the right. Anyone want to guess why this might not be the best photo to use for a custom 1000 piece puzzle? If you guessed that a black and white photo might not give you the most clues for selecting interlocking puzzle pieces, then you are smarter than I am. This was a tough puzzle. It took a good month to finish, and there was a fair amount of cursing along the way. If you feel like giving this one a try we have it at the shop. I might suggest the full color Eddy Merckx 1000 piece puzzle instead. Our friend Don Rauf has a present for anyone who loves old bikes. 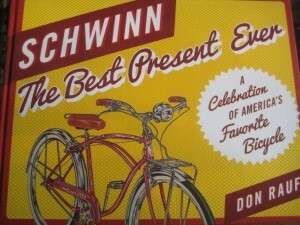 Don wrote a fantastic new book about everything Schwinn. The stories are great, the photos and old advertisements look terrific. 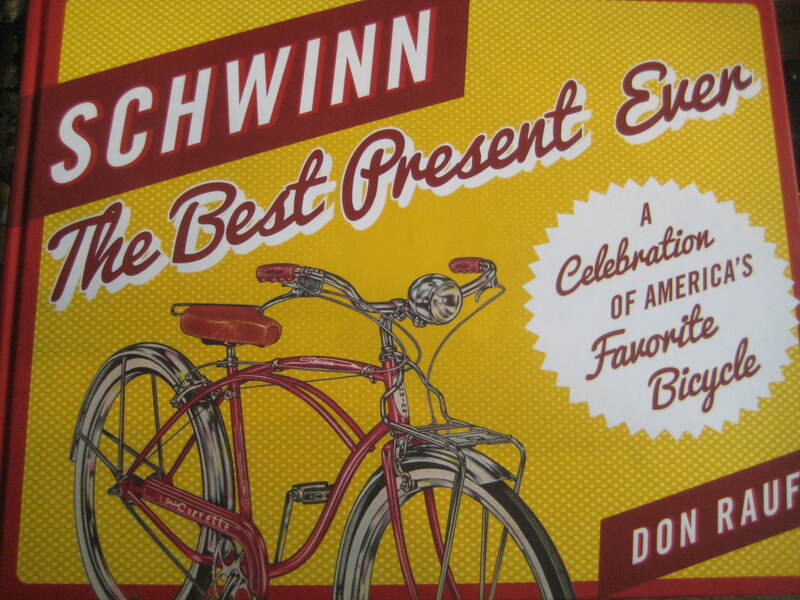 The book has a pretty comprehensive history of the Schwinn family and company. There are some famous bikes like the one from Pee Wee’s Big Adventure or Eddie Munster’s monster Sting Ray. There are crowd favorite balloon-tire cruisers from the ‘50’s, Sting-Ray and Krate bikes from the ‘60’s and the road bike collection from the ‘70’s and 80’s. Want a personal connection to this book? Come in to the shop, see and touch one of the dozen or so bikes whose pictures grace the pages! Yep, there’s a lot of our little museum in this book, even our Black Phantom bar stool. Carrying liquids without a container just makes a mess. 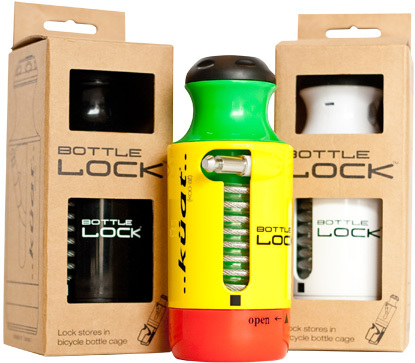 Visit our selection of waterbottles, thermoses and mugs to find just the right container for all your bike riding needs. 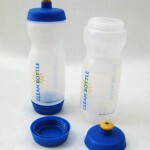 We have regular squeezy plastic bottles from Specialized and Camelbak. A super-duper Classic Cycle bottle made of recycleable plastic that has a leak-proof heart-valve like top. 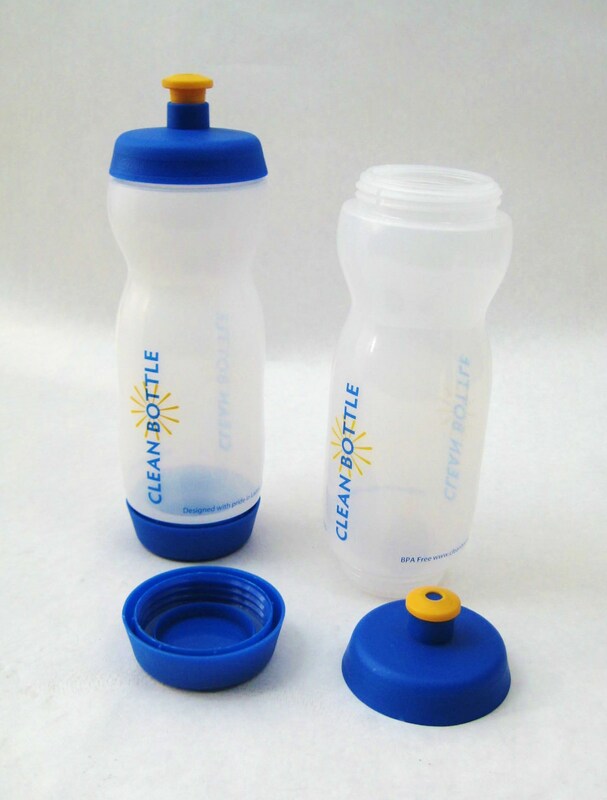 Bottles that unscrew at both ends for easy cleaning from Clean Bottle. Insulated bottles for hot summer days from Polar. 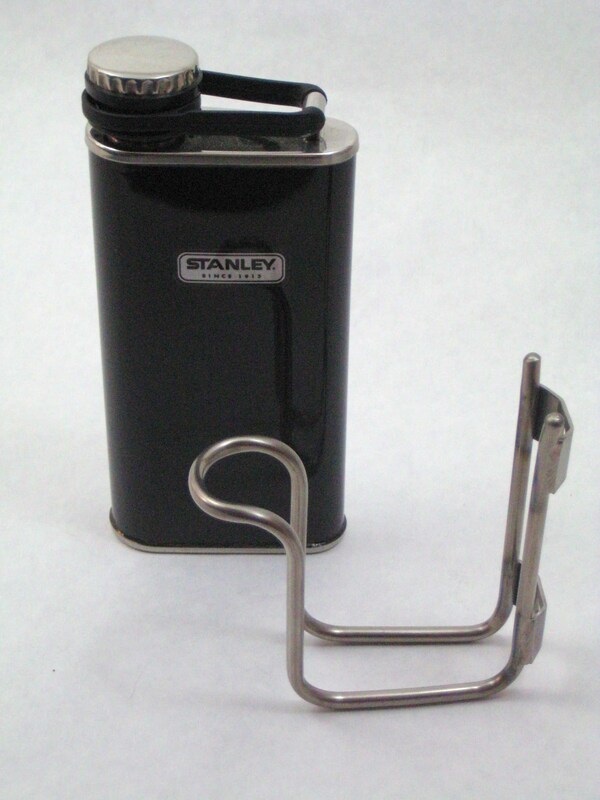 Aluminum or stainless steel bottles from Kleen Kanteen and Stanley, as well as your favorite Stanley thermoses. Flasks, Thermoses and mugs too. By the way, all of our plastic bottles are B.P.A. free (actually, they always have been. 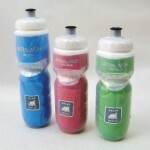 It’s the crappy bottles that your company gave away at that “team building” picnic that had the bad chemical makeup). Not interested in bottle-shaped containers? 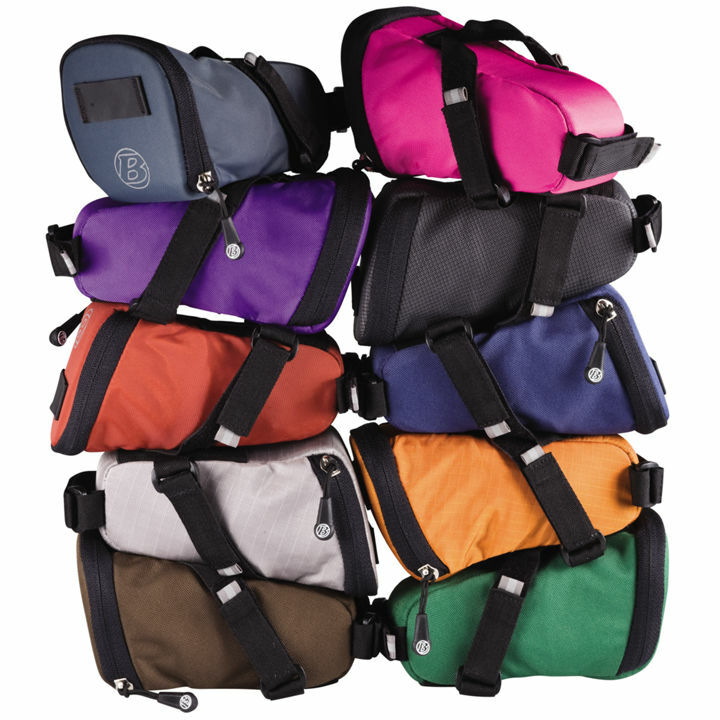 Take a look at our backpack-style hydration packs. 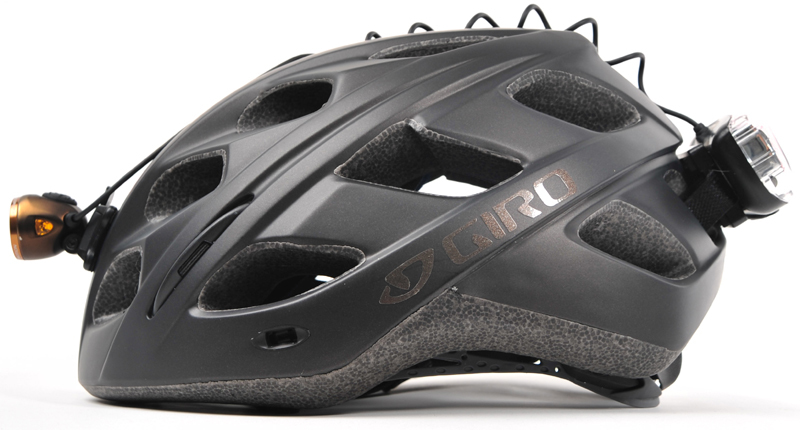 Wherever or however you ride, you need a bike helmet. 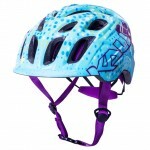 We try to cover all of the different cyclists out there, and our helmet lines give you some great options. 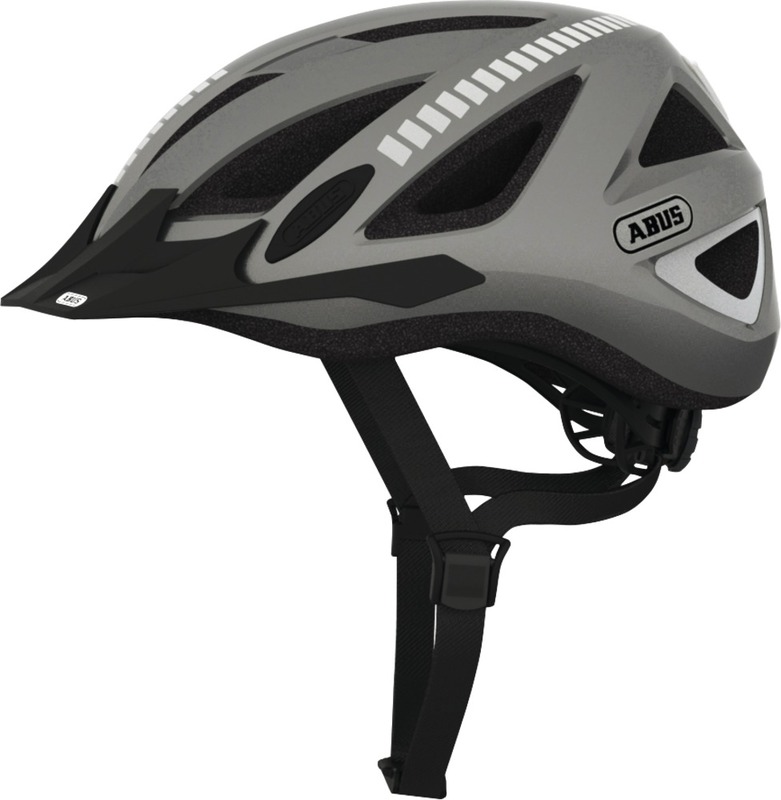 If your favorite place to ride is the Kingston skate & bike park, or the skate bowl at Strawberry hill, then come get an Abus skate or street-style helmet. 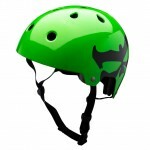 If racing BMX indoors at the Peninsula track in Port Orchard is your thing, or you’re doing crazy stuff off-road at the Colonnade park in Seattle or Dry Hill in Port Angeles, then you need a full face helmet. 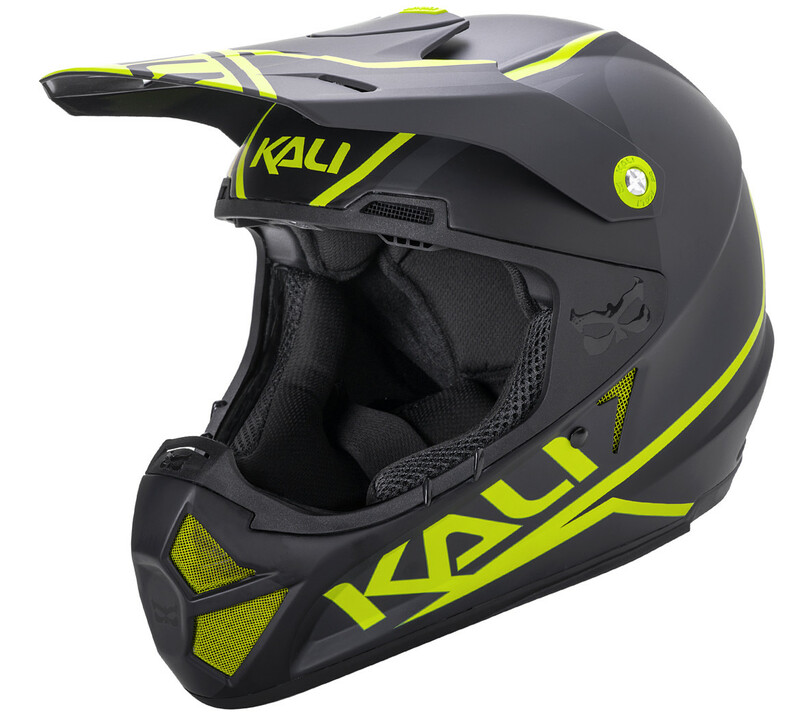 We have some great options for you from Kali and 100% helmets. 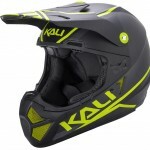 We have versatile mountain biking helmets from Kali, Lazer, and Louis Garneau. 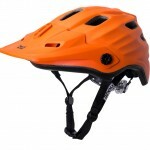 Theses helmets cover the back of your head a little better, so if you feel like trying to ride over that log pile on the trail, well, you just give it a whirl. By the way, a ”mountain bike helmet” usually just means a helmet with a visor, and helmet visors work great in Seattle weather. They keep the rain from dribbling on your nose. 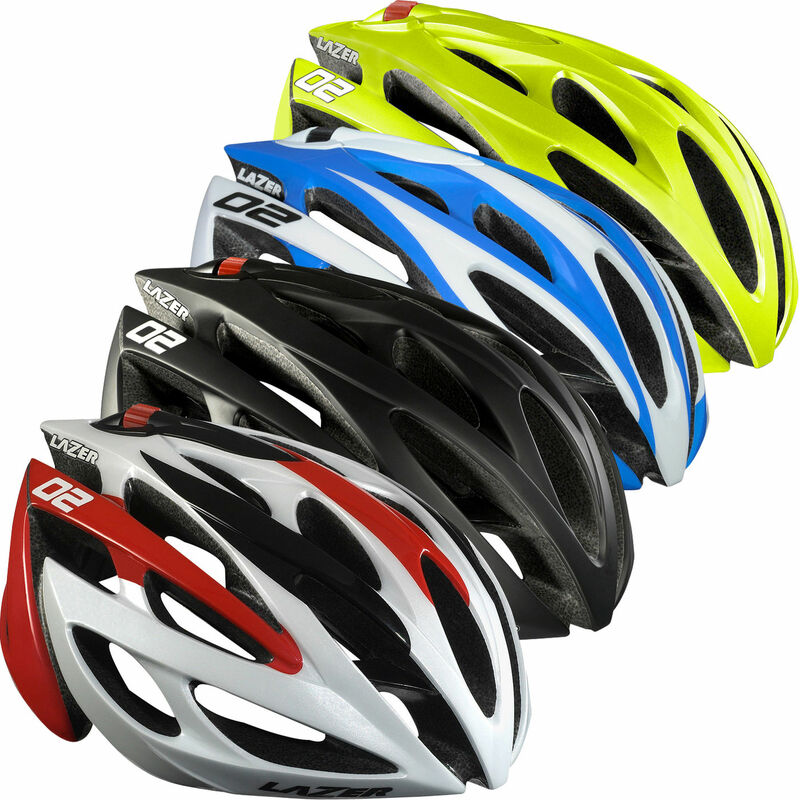 For the road riders out there we have the latest styles and models from Lazer, Scott, Kali and POC as well as aero helmets for time trials and triathlons from Louis Garneau. 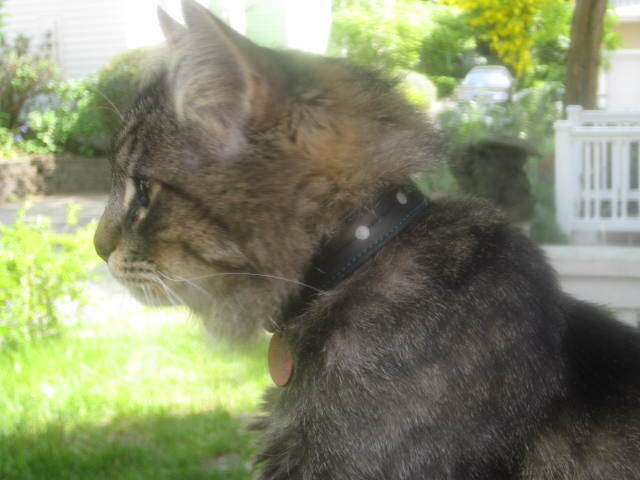 Last but not least, junior needs a helmet. 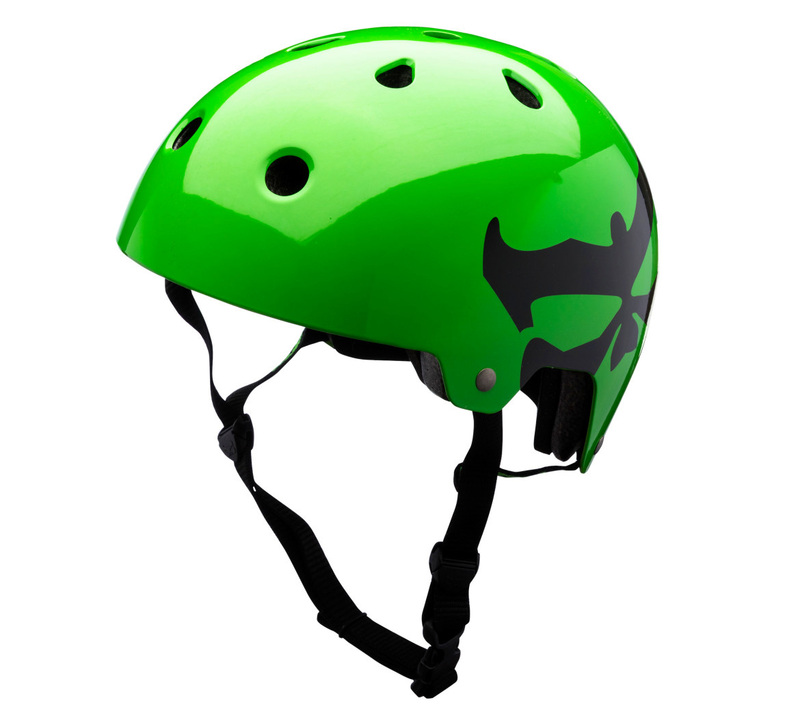 We have helmets for little kids and toddlers. They aren’t too expensive, and they aren’t too heavy for little heads. 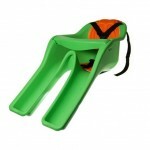 They come in fun colors and styles guaranteed to please even the pickiest kids. 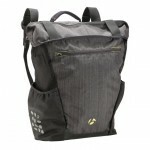 We stock bags from Ortlieb, Arkel, Timbuk2, Basil, Brooks, Seattle Sports, Banjo Brothers, Alchemy Goods, and Topeak. Why so many different brands? Well, they don’t always use the same fabrics throughout their lines, and we want to make sure that nearly everything we pick is waterproof (an obvious requirement for the Pacific Northwest). Some bag designers seem to have a handle on commuter needs, while others are looking at things from a long-distance tourist point of view. Come in and see what will work best for you and your bike. Banjo Brothers is a Minnesota company that has some really innovative designs and smart features. 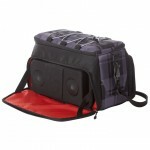 Ortlieb makes many great choices for hauling your stuff back and forth to work. They make tough bags that are quick to load when you are running late for the ferry. Arkel is our choice for touring, with well-designed compartments that keep your provisions secure and organized. 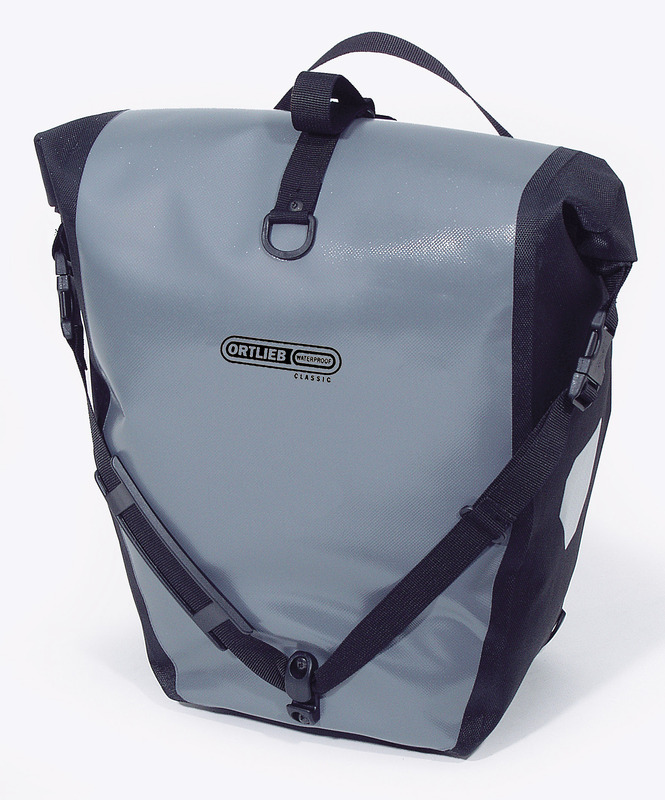 Need a small lightweight bag for your weekend rides? 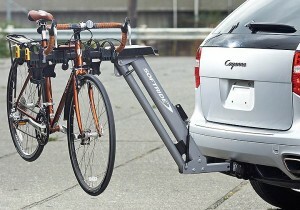 How about a rack trunk that integrates smoothly with your bike rack? 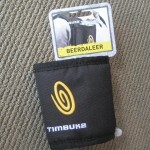 Look through our selection of Timbuk2, Blackburn, and Topeak seatbags and rack trunks for exactly what you need. Those of you who have been to our store know that we’re about 100 feet away from the Harbor Square wine shop. We like Washington wines (buy local!) and the wine shop proprietor Jeff brought out some great ones. 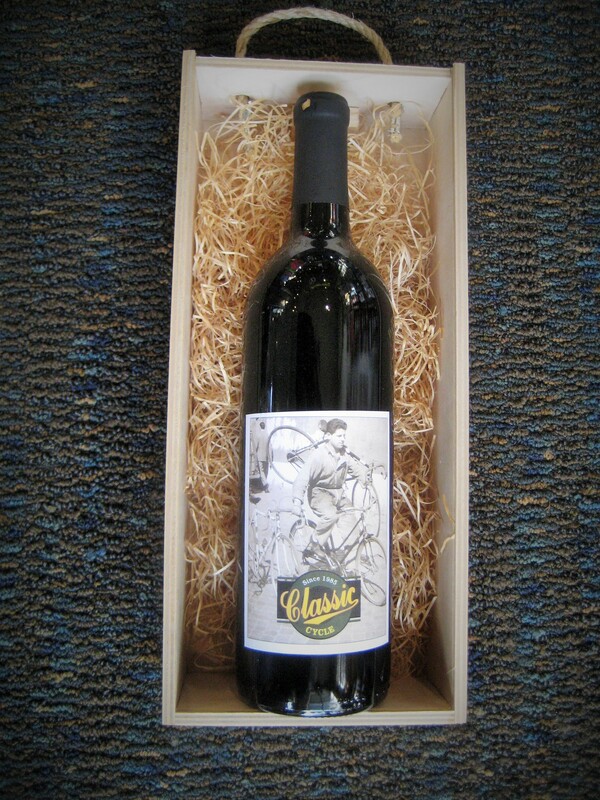 From the St. Hilaire winery in West Richland we found a favorite. One thing led to another (as it often does when you are sampling multiple bottles of wine) and we found that we could adopt the blend and call it our own. So here it is: A classic 2016 vintage red wine. A glass or two will be just the thing after a long ride on the Kitsap Peninsula. 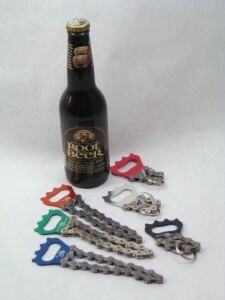 Celebrate a great day out on the road (or in the woods), or drown your sorrows after flatting a brand-new tubular tire. This “Classic” wine is a medium-bodied blend that pairs well with pasta, we have tried it alongside a menu of lighter Spanish tapas and it was excellent with the wood-fired pizza from Bene (on Hildebrand Lane). Combine a glass with Clif bars or to wash down Gu packets at your own discretion. How can a bike shop be selling wine? We can’t. We don’t have a liquor license, so you’ll have to walk down the sidewalk and make your purchase at the Harbor Square wine shop. Enjoy with friends, neighbors, riding partners and local bike mechanics. 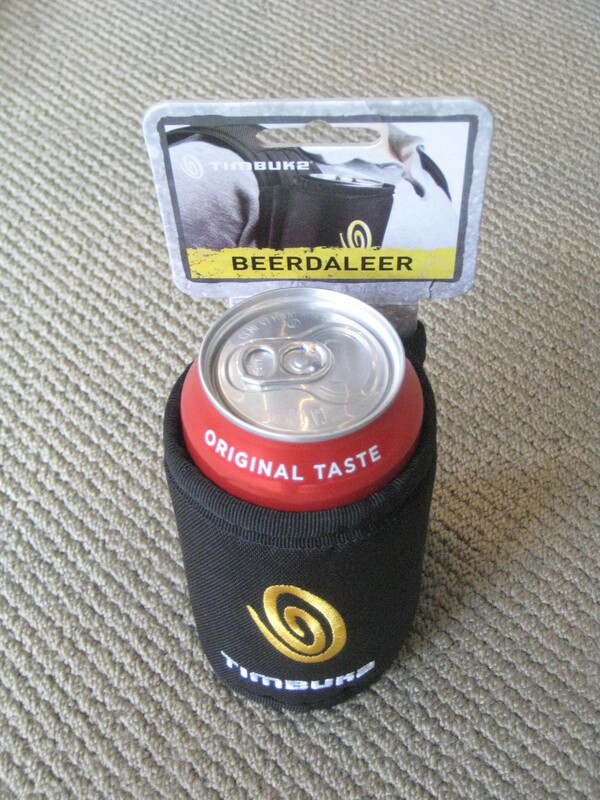 Makes a great gift for the bike rider who has everything. 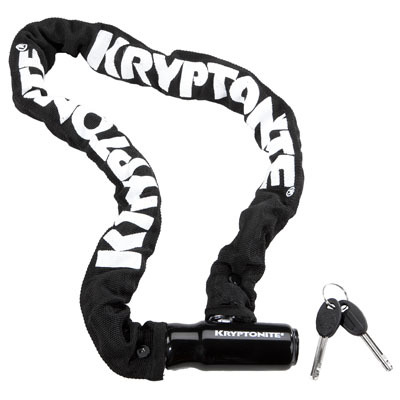 Also makes a great gift for the bike rider who wants everything that you can’t afford. Bottles are only $15. 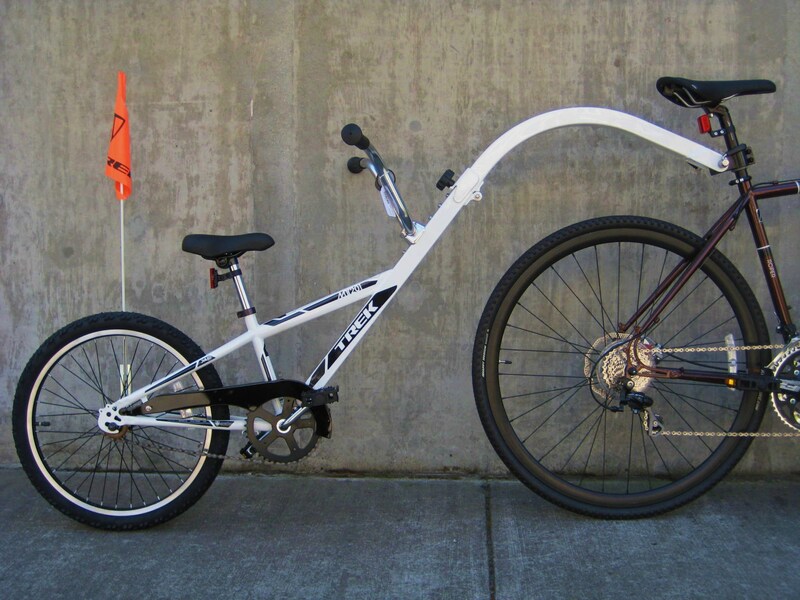 There are lots of fancy bikes out there that could use a kickstand. Strangely enough, if you find yourself at a rest stop in the middle of the RSVP ride you’re likely to find a sea of fancy bikes laying on their sides in the grass, not a kickstand in sight. We get it. Some folks don’t want a kickstand because of the extra weight (a standard Greenfield aluminum kickstand weighs about a pound). Sometimes it’s just that you can’t or don’t want to bolt a clunky kickstand to your svelte new bike. 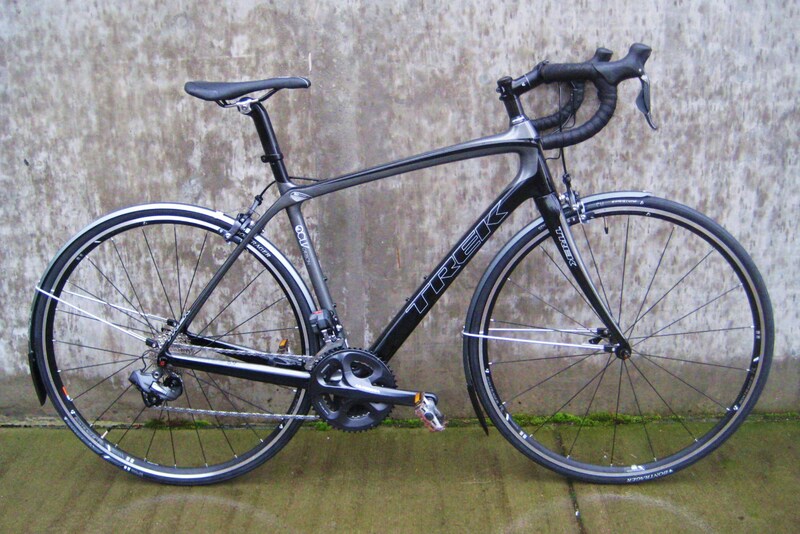 Say that you just purchased a Fuji Gran Fondo. It has a carbon-fiber frame, which is awesome and light and sporty, but the tubes are irregularly shaped and it’s just not a great idea to bolt a standard kickstand to it. 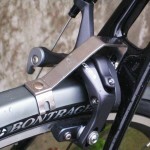 The Upstand mount fits on your wheel quick release, so nothing bothers your frame. 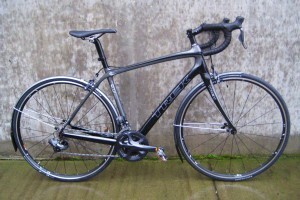 It’s not clunky and weighs about the same as a roll of handlebar tape. 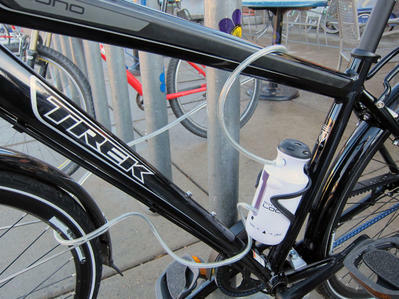 When not holding your bike upright, the Upstand is held along side your water bottle cage. It’s pretty slick. The latest in carbon-fiber technology! This is the Scott UMB-1(R). It features a carbon-fiber main frame, stiff (yet vertically compliant) spars, and a 59 gram ultra-light foam grip. 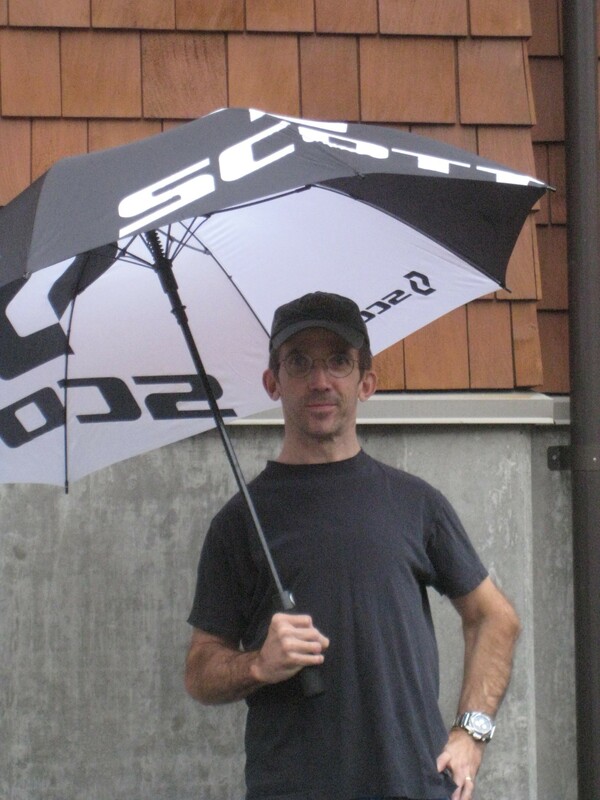 The hydro-shielding fabric matches most bicycle gear ensembles with the monochromatic Scott bicycles logo, and it will protect against unwanted sunlight as well as excessive water. Sounds awesome, right? There’s more. There is an automatic canopy-deployment switch on the handle which means you can be ready to roll much faster than your competition. All of this technology should cost hundreds of dollars, but is actually available to purchase for only $29.99! Sometimes it rains. Sometimes it is dark outside. Sometimes, your spin class is full. Whatever your reason, sometimes you need an indoor trainer. Come on in and check out the stationary bike trainers we have in the store. We have a wide selection to choose from, and a few set up so you can try them out. From inexpensive wind resistance units to Fluid resistance versions that deliver smooth and realistic road riding simulation. We have new and used indoor bike trainers from Tacx, Kurt Kinetics, Elite and Cyclops. 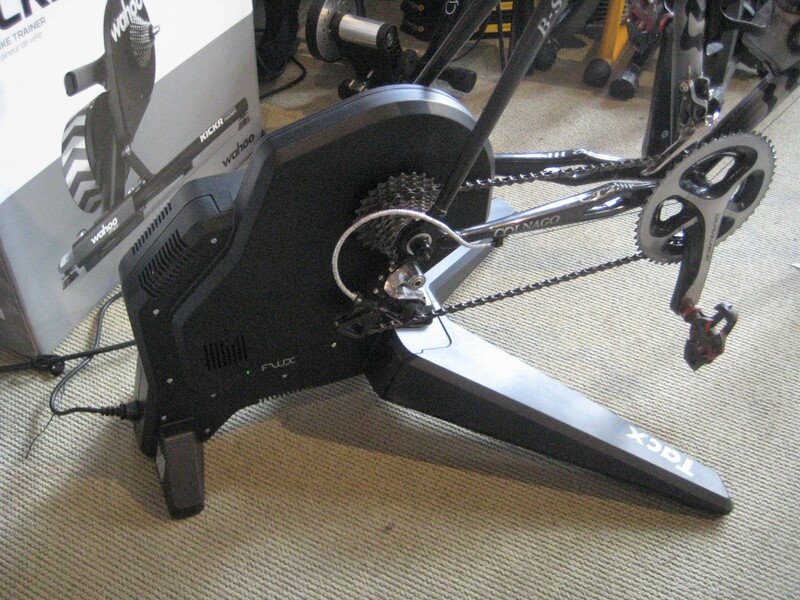 Turn the bike that you are used to and comfortable with into an indoor exercise bike. Smart trainers integrate with on-line apps like Zwift. You get realistic real-world training as the app changes the resistance to mimic the road gradient, race situation or wind conditions that you’re seeing on your screen. Want some fun to go with your exercise? 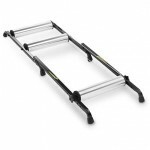 Try out indoor rollers. They will smooth out your riding style and give you a truly on-the-road feel inside your home. Rollers can be a bit tricky at first, but are much more fun that a stationary bike. 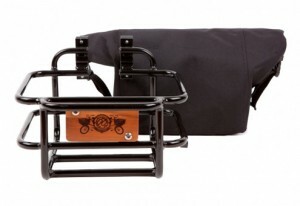 We stock Kreitler’s roller stand (which holds your bike steady) if you don’t want the totally free roller experience. Not sure what you want? We rent rollers and indoor trainers by the week, and the rental fees can be applied towards purchase. So at Classic Cycle, we have three things that we consider when we’re picking lights to have in the store. The first criteria is value for your money, so we look at the features a light has and brightness vs. cost. The second criteria is durability. We hate dealing with returns, recalls and warranties, so we try to pick the good stuff. The third criteria for us is the country of origin. Light & Motion and Niterider still make their stuff in California, so we support them. 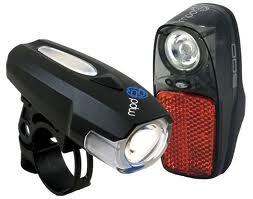 Knog is an Australian company, and their lights are all imports, so there goes the country of origin aspect. 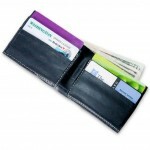 Our equation still works with them since they pack in so many cool features and offer such great value and durability. 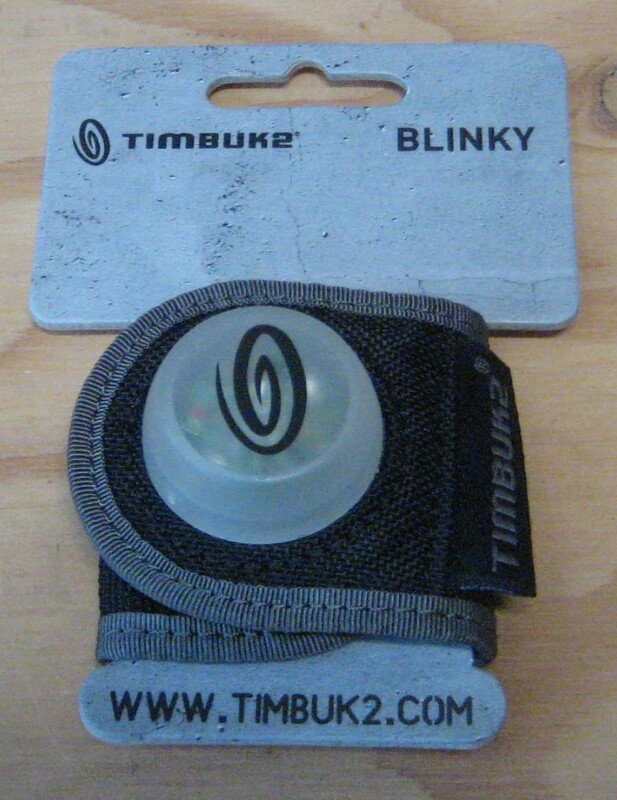 These Knog blinders are super tough and very waterproof. They’re both rechargeable and have the best light output per dollar ratio in the store. 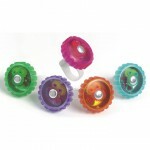 They use silicone (not rubber) casings, so they don’t rattle, and they easily fit in places where other lights do not. 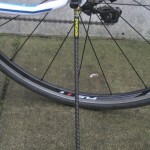 They’re fast to remove and install on your bike (like in mere seconds). They don’t stick out as much as other lights and are less likely to be damaged in an accident. And they’re inexpensive. 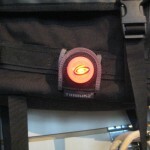 If you’re a self-reliant type and really want to be prepared, this is the light system to have. There is no battery involved. You generate your own power when you spin the efficient dynamo hub. 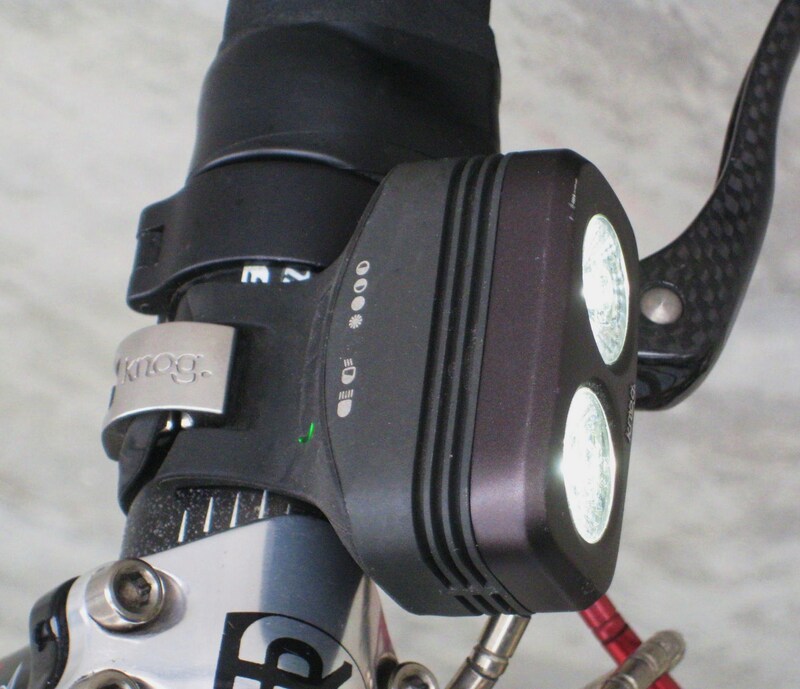 The powerful LED headlight gives you over 300 Lumens (that’s bright!) and a built-in capacitor will keep the lights on for five minutes after you stop moving (handy for stopping at intersections). Really want to be prepared for a zombie apocalypse? Get the optional USB port stem-cap, and you can recharge your phone or iPod while you pedal. 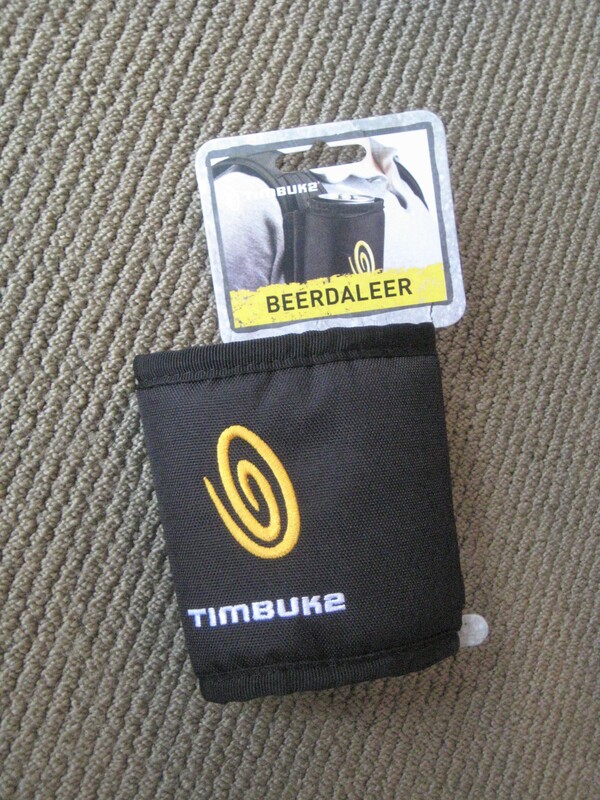 Need a fun gift idea for the cyclist who has everything? These little multi-tools are awesome. They’re key-chain sized so they won’t take up all of the space in a seat bag or a pocket. 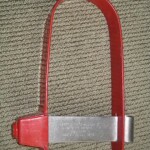 You get 2, 3, 4, 5, and 6mm allen wrenches as well as a flat blade and phillips screwdriver. 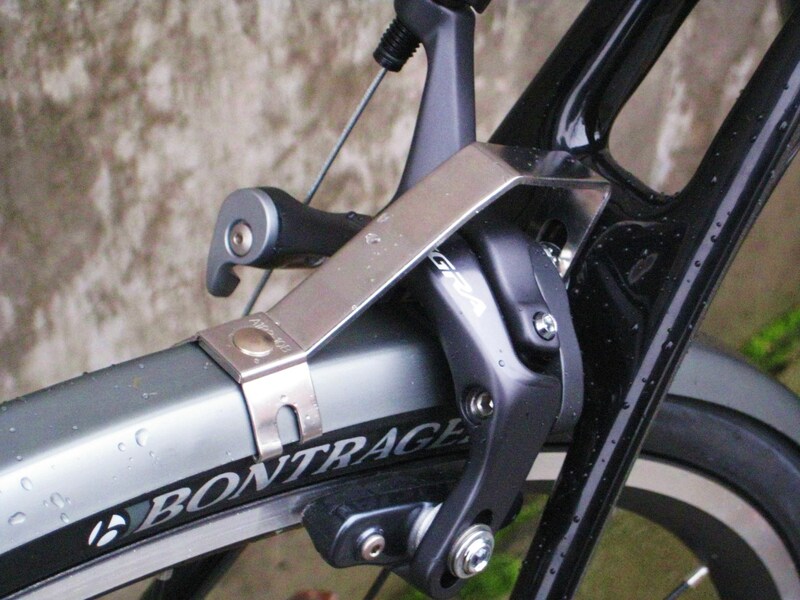 Not good for high-torque fasteners (good luck trying to remove your pedals with one) but just right for adjusting seat heights, tweaking brake or derailleur adjustments and tightening things that vibrate loose. This mug is better than a Pinarello Dogma racing bike. 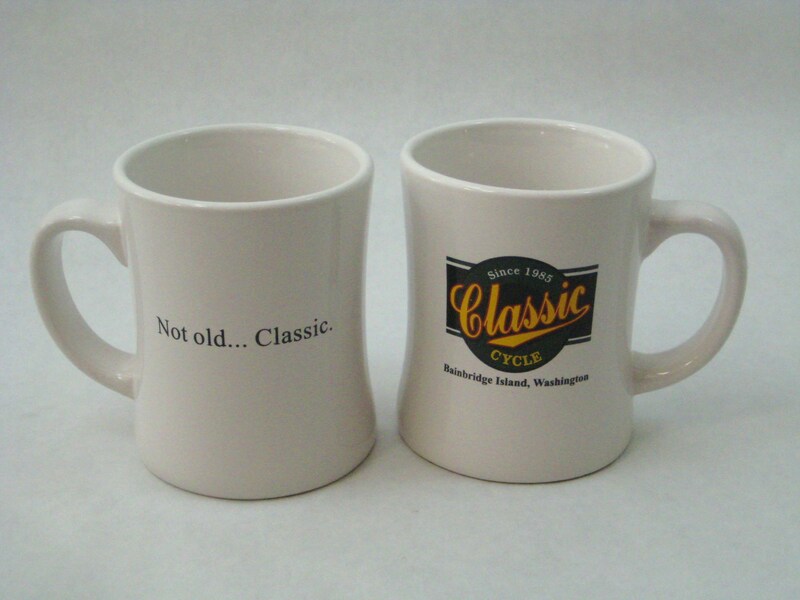 The Classic Cycle diner mug is dishwasher safe, the Dogma isn’t. Carbon fiber tubing will melt in the microwave, while this ceramic mug isn’t bothered in the slightest. The Pinarello will set you back $12,000 dollars, but our coffee mug is a bargain at just ten bucks. You can’t drink tea out of an Italian racing bike, whereas this mug is perfect for the job. Our mug will also preserve your dignity, as it clearly states that the user is not “old” per se, but truly “classic”. The Dogma will just make you feel old. You’ve asked for it, and Delta, the random accessory king of the bike world, has delivered. If you’re unsure how it goes, we’ll install it. Your phone has a GPS, why not use it? 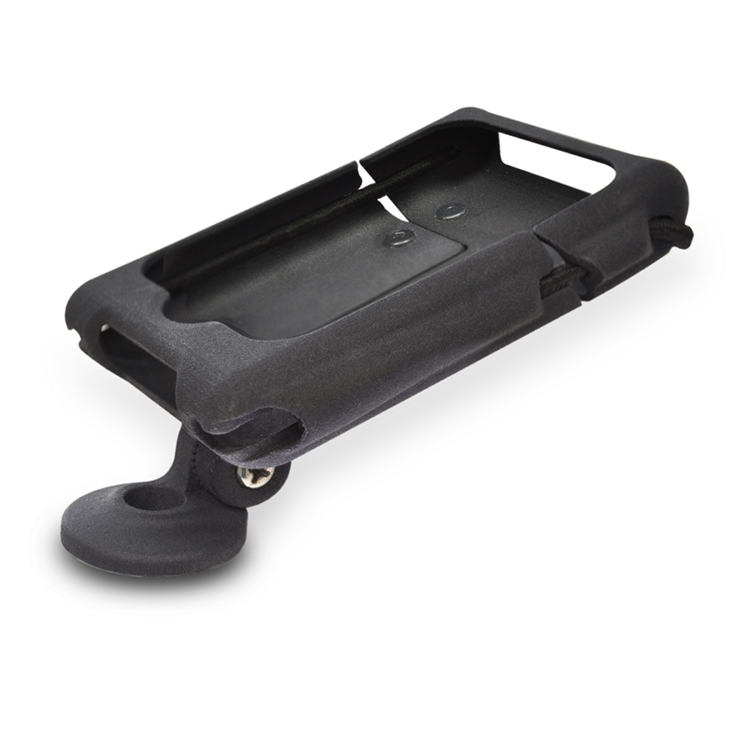 A handlebar holder for your smart phone that works. 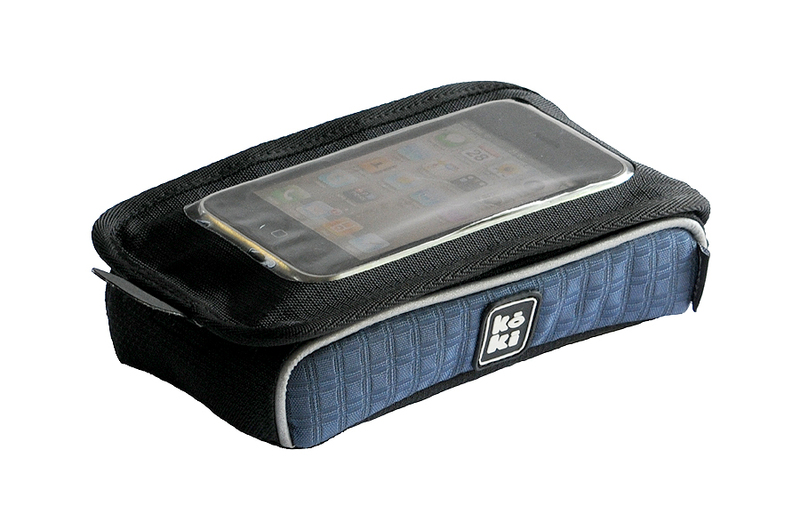 The Delta version is the first one that we have come across that seems to be secure and safe for your phone, doesn’t rattle, and allows you to get at the touch screen functions on your phone without stopping and taking it off your bike. Occasionally we have sunshine in the Pacific Northwest. Be prepared for the clouds to break with Tifosi eyewear. All Tifosi models offer great eye protection from the sun’s harmful rays as well as protection from airborne debris while cycling. 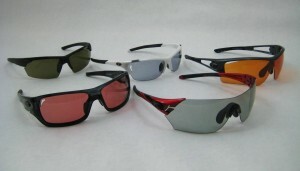 There are dozens of different styles and lens configurations. Choose your favorite model with a single lens, pick a model with photochromic lenses that darken in brighter light, or pick a version that comes with multiple lenses. 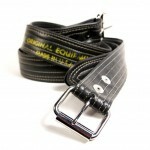 Tifosi offers all of this quality and style at about half the cost of other big brands. Model prices range from $30 to $70. By the way, Tifosi now has a handful of models that come with 1.5 or 2.0 reader lenses on the bottom (so you can see the digits on your cycling computer). It’s probably the last thing you think of when you walk into a bike store, but skin care should closer to the top of your list. Chamois cream does nice things for your skin wherever cycling rubs you a bit raw. Consider chamois cream to be your last line of defense between you and your bike seat. If you have a spot on your feet that gets aggravated when you ride, chamois cream will help there too. Not just a moisturizer, chamois cream leaves a lubricated layer at your contact points that will make things slide without too much friction. We stock chamois cream from Assos, DZ Nuts, DZ Bliss and Udderly Smooth. Not to be confused with chamois cream, Embrocation, when rubbed into your skin (typically on your legs), will warm up sore muscles and create a layer of heat. 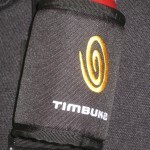 Ride with shorts in cold, rainy weather and stay comfortable with Embrocation on your legs. Embrocation comes in different heat ratings, just like hot sauce. Go mild in warm weather, medium in the fall, and hot when cold-weather cyclocross season rolls around. Lastly, shaving cream and sunscreen feature prominently in an avid cycling lifestyle. We stock some of our favorites from DZ Nuts and Dermatone. Monterey California based Light & Motion has some really great ideas when it comes to making bike lights. Their designs make them stand out in a crowded marketplace, and might make them just the thing for you. The Vis 360 helmet light is pretty neat. 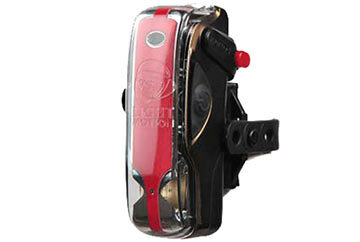 The rechargable battery is housed within the taillight, and a tiny cord stretches across your helmet to the powerful headlamp (that is about the size of a grape). The whole light set weighs just 134 grams. 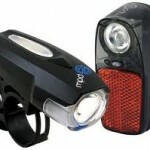 It is bright enough to use as your only light source, or it will make a great addition to your handlebar-mounted light. The vis 180 is an ultra powerful tail light that recharges by plugging a USB cable into your computer. On average, the Vis 180 is about twice as bright as the best disposable-battery tail lights. 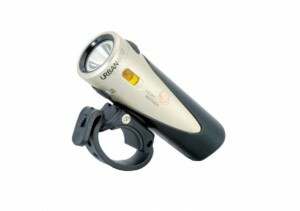 The Urban 400 is a small 105 gram headlight that puts out an amazingly clear beam pattern. 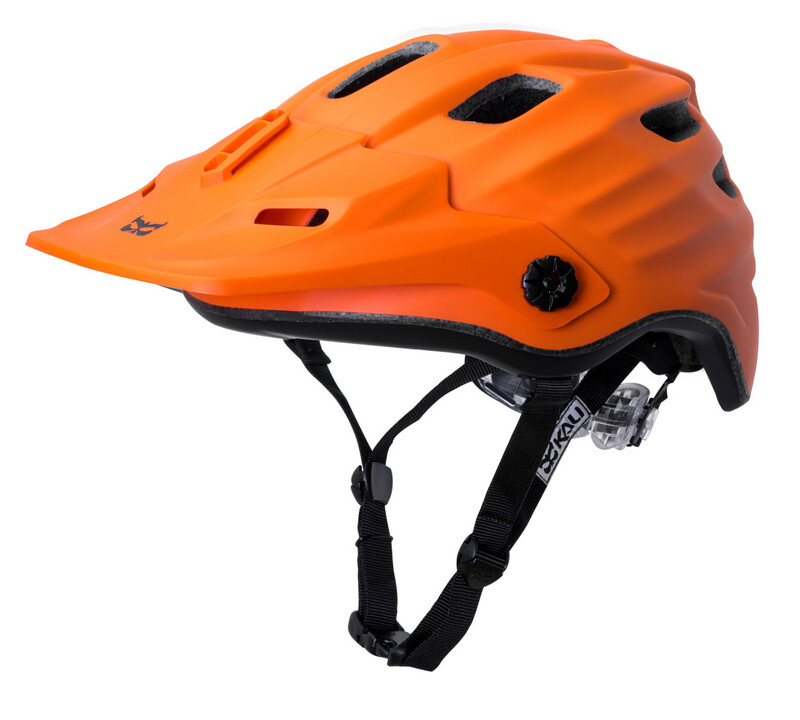 Like all Light & Motion head lamps, it features bright amber side lights that really gets you noticed when crossing intesections. 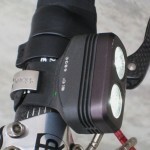 Light & Motion products are 100% built in the U.S.A.
Bike lights are kind of like computers. Each year there is a massive leap in performance, and that leap is often accompanied by a drop in price. 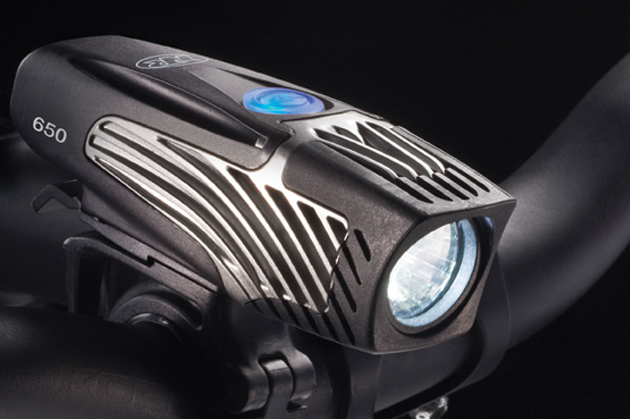 If your bike light is more than a year or two old, you owe it to yourself to come check out the new models from Niterider. The light that put out 150 lumens of light last year? Now we are up to 350. Last year’s light that laid out 350 lumens of light? It is up to 700 now. Run times have increased, weather-proofing has improved, and weights have come down. Bring in your old light for a side-by-side comparison. Niterider lights are made in America. Feel good when you grab your bike. Fresh handlebar tape makes all the difference in your bike esteem. You can change bar colors, get more padding or a more secure grip. Fresh tape will help your bike look new, and boost the price you can get if you’re selling a used bike. Come on in and pick your favorite. Old-school cotton tape from Tressostar and Neubaum’s. 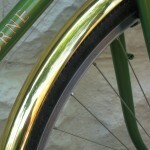 Padded cork tape from Cinelli and Torelli. Extra squishy gel cork from Planet Bike. Grip tape from Fizik and Lizard Skins. There is no excuse for riding around with smelly, ratty or moldy handlebars. When junior is ready to ride with you, come in to the bike shop and we’ll help you with a baby seat or trailer. 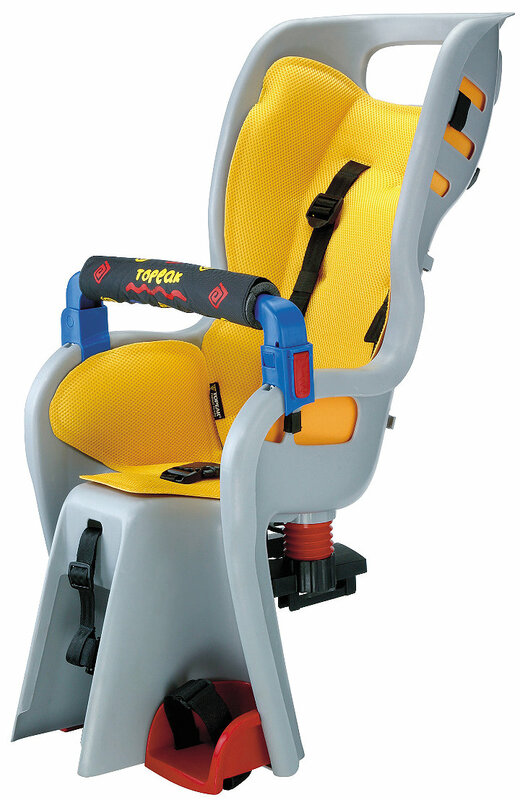 We stock Topeak and Ibert baby seats for your bicycle. 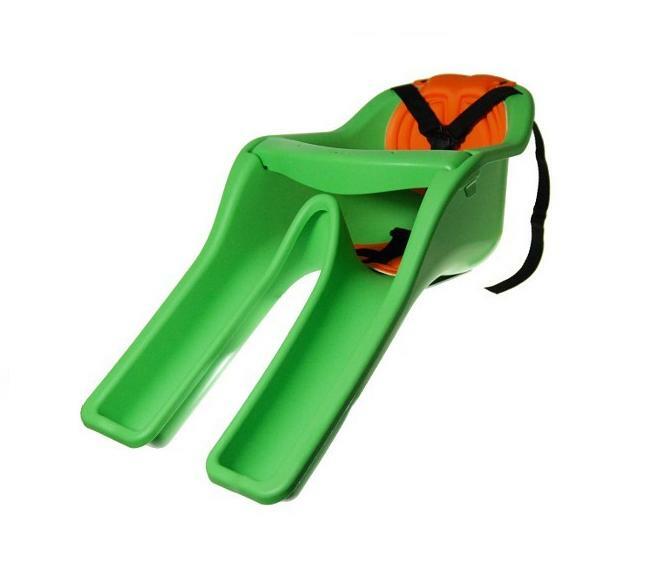 The Topeak seat hook into a specially designed rear rack, and when you aren’t riding around with junior, you can easily remove the baby seat and use the rack for your saddle bags. The Ibert baby seat mounts between you and the handlebars of your bike, so that you can keep a close eye on your precious little cargo. We can help you determine which style will work best for your bike and where you ride. Want a trailer for your little guy instead? 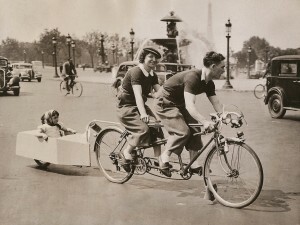 We’ll order you a Burley trailer. We don’t keep them in the store due to storage contraints, but we can get you whatever you would like within just a few days. For bigger kids we have pedal trailers. 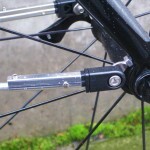 The Adams and Evo brand trailers are safe (take a good look at the quality before you buy from Walmart), inexpensive (about half the price of Burley’s pedal trailer), and easy to hook up (two allen bolts and a quick -release). These trailers fold, so they are easy to store when not in use. Kids love pedal trailers. They can ride farther and faster than they would ever be able to on their own. The Lezynne company makes some pretty neat things with their C.N.C. mills, and this pump is no exception. Built to offer all of the convenience of a regular floor pump but built in more compact dimensions. It fits easily into a backpack, suitcase, duffel bag, touring pannier or car trunk. 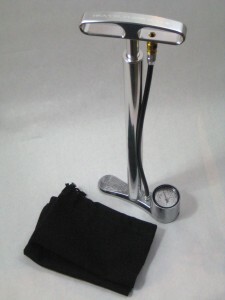 A perfect companion to your Bike Friday or Ritchey Breakaway, this floor pump easily fits into a travel bike case. 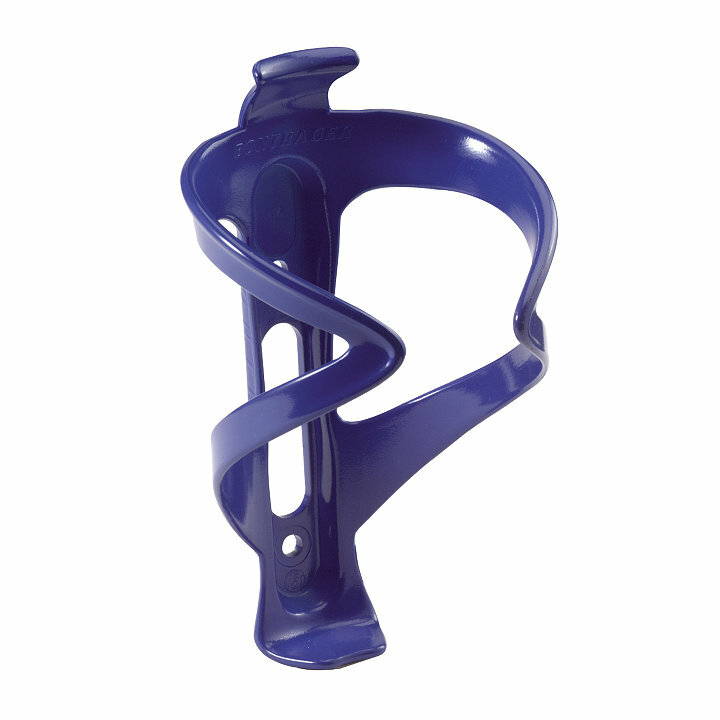 It’s only 20″ tall, and has a compact base that falls under the shadow of the handle. The screw-on chuck works with either schraeder or presta valves, and the guage is easy to read. 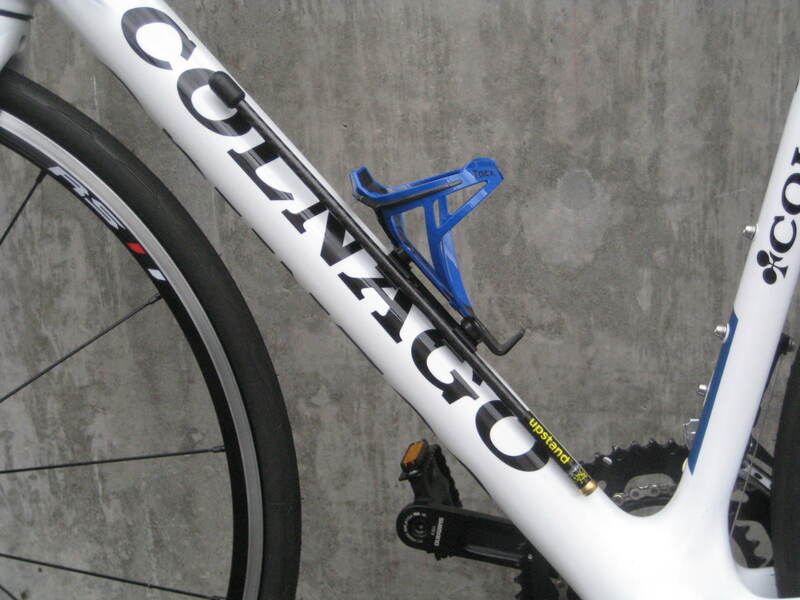 Your Colnago is a beautiful bike. Why put that crappy old Specialized bottle cage on it? It doesn’t even match the paint! 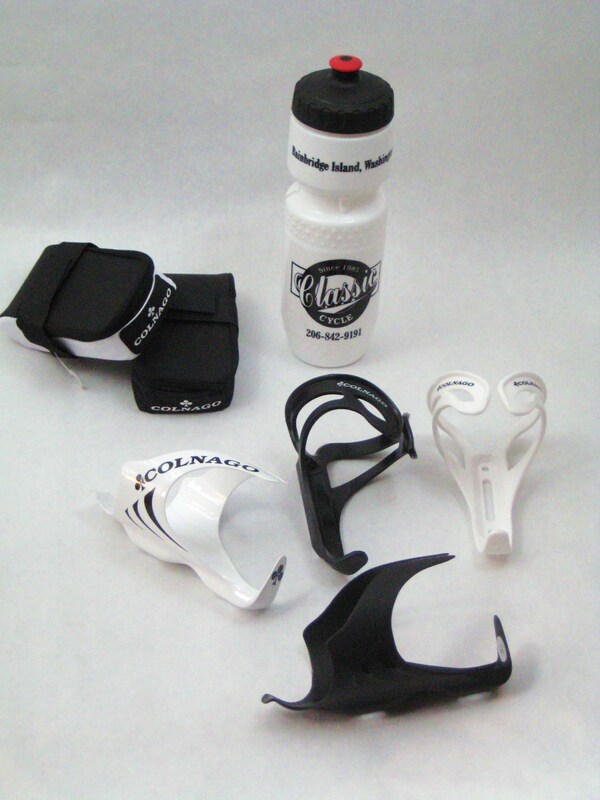 Come in and get an elegant carbon fiber or plastic bottle cage to compliment your ride. Available in white, matte black or gloss black. 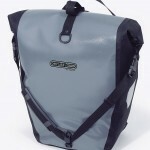 Small seat bags are also available in white or black. You know you’re in the Pacific Northwest when people gush over bicycle fenders. 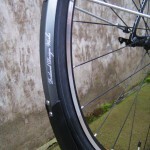 Portland Design Works has designed the best road bike fenders ever, a great addition to the fanciest rain bike or most haggard commuter bike. They fit under brakes with extremely tight clearance. 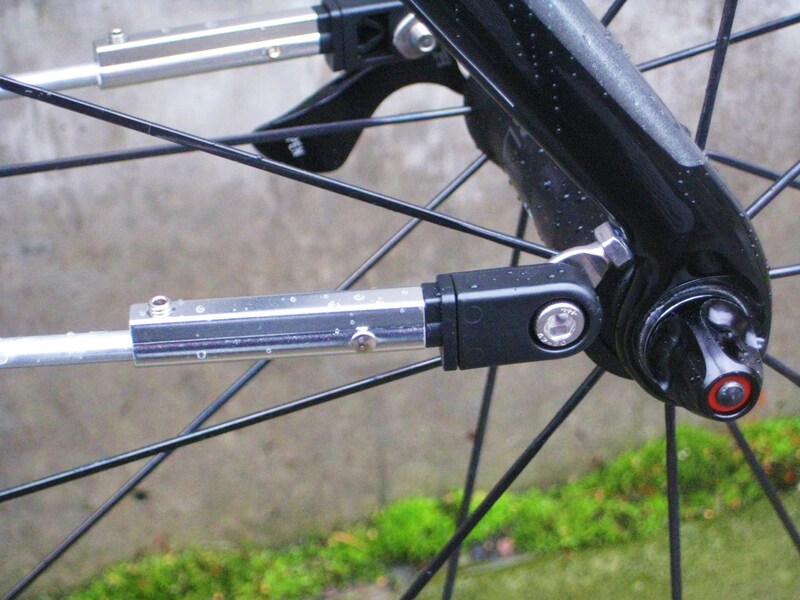 The adjustable aluminum struts will bolt into regular fender mounts, or directly onto your quick-release skewers if your bike doesn’t come with mounts. They are made out of tough aluminum, and don’t vibrate or rattle as you ride. Lastly, your friends won’t mind riding behind you on a wet day as the mud flaps cover the wheel all the way down to where the rubber meets the road. Not really much to say about this new water bottle cage from PDW. Holds your waterbottle quite nicely. Even when it’s the daytime in the Pacific Northwest, it can be pretty dark outside. Come in and get a light (or two) for your bike. 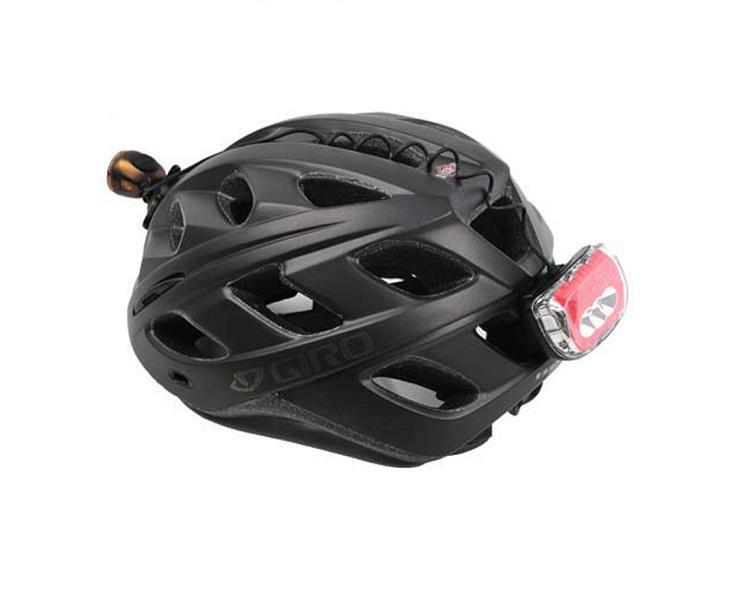 Lights are probably the most crucial safety product that we sell (a helmet won’t protect you if you ride off of the Agate Pass bridge in the dark), so we try to choose the best that is available. 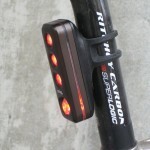 We have simple blinky rear lights from Knog, Planet Bike, Fizik, Serfas, and Portland Design Works. 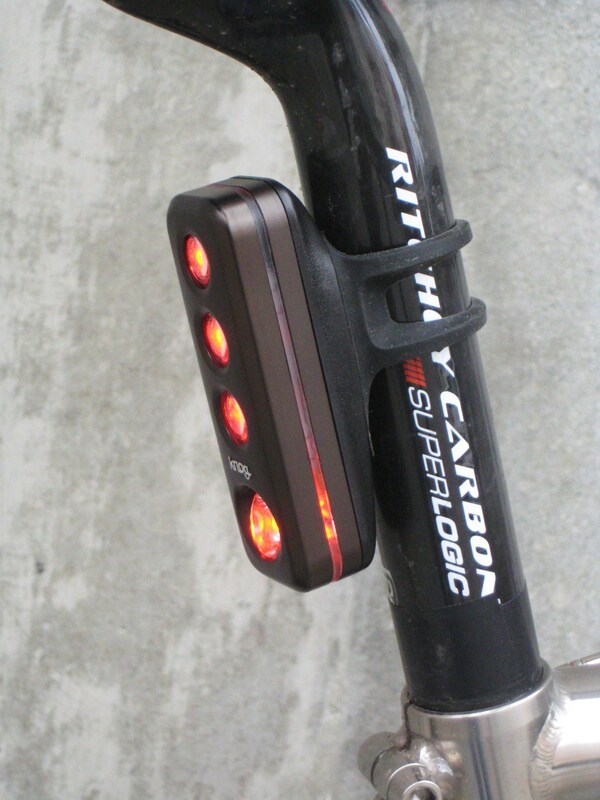 These obnoxious lights can go on the back of your saddle, seatpost, on a rack, wrapped around a frame tube, on a helmet, or on you. They range in price from about $10 to $95. Want to see where you are going? We have lots of head lamps, and they keep getting better each year. What we now consider to be a cheap “to be seen” light was once considered a powerful “to see where I’m going” light. 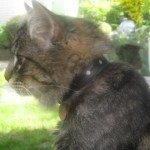 Most of the brighter lights now happen to be rechargable too, with reliable batteries that can be recharged for years. We have American-made (Californian-made, to be exact) headlights from Light & Motion and Niterider, as well as less expensive imported lights from Planet Bike, Portland Design Works, Knog, and Serfas. Headlights range in price from about $20 to $250. 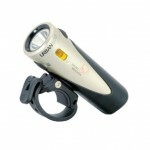 We typically choose what we carry based on reliability, the lumen (light output) per dollar ratio, and whether the light mounting system works easily and effectively or not. You may have seen or used this style of wine bottle opener before, but did you know that it was invented by Tulio Campagnolo? The Campagnolo big corkscrew has an unmistakable design that for more than forty years has uncorked the finest wines with ease and precision. 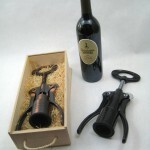 Like all Campy products, these corkscrews do their job perfectly and with style. 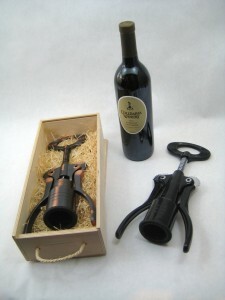 They remove corks without raising sediments and without shaking the bottle, pulling the cork completely free of the top of the bottle, never breaking a cork. Thanks to the design of its large and unmistakable levers, the Campagnolo corkscrew has become a symbol for those who want to have at home not only a renowned and reliable corkscrew, but also a piece of Italian cycling history. Available in bronze or silver finished aluminum (and for weight weenies, a composite version in black). It’s bike racing season, so what better time to brush up on some of its longest and most storied history? 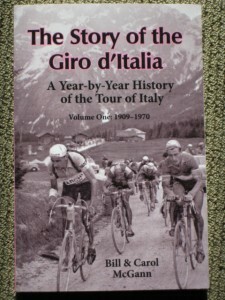 A friend of ours, Bill McGann (of Torelli bicycle fame) has written his 3rd bike racing history book, and it is a great read. Like Bill’s other two books on the Tour de France, this is a fast pace read on a fascinating subject. 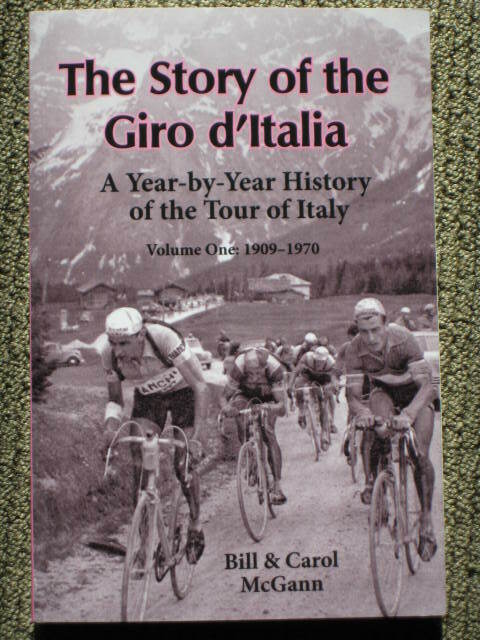 The Giro is a race as colorful as the people and history of Italy itself, and Bill weaves a wonderful tapestry of the racers, promotors, fans, the mafia, the politicians and the country that made the race great. 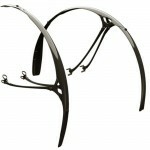 Do we really have to mention that we stock fenders? We have stainless steel fenders, plastic fenders, aluminum fenders, carbon fiber fenders, bamboo fenders and wooden fenders. We have full, wrap-around fenders. 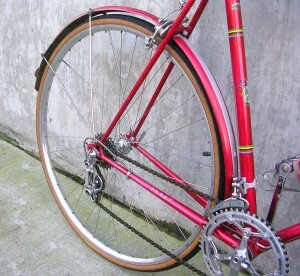 We have tiny clip-on fenders. We have fenders that attach to the back of a bike rack or under a suspension fork. We have fenders from Planet Bike, Portland Design Works, Bontrager, Velo Orange, SKS, Berthoud, Honjo, and River City Cycles. 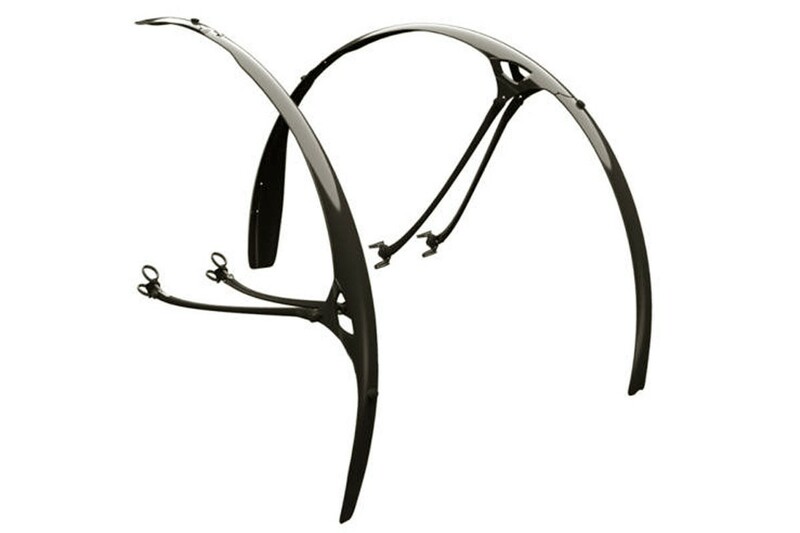 We have mud flaps to add to your fenders from Brooks, Buddy Flaps (even custom “Classic Cycle” buddy flaps), and Planet Bike. By the way, If you’re hesitant to get a set of wrap-around fenders for fear of a big installation job (or lack of tools), don’t worry. 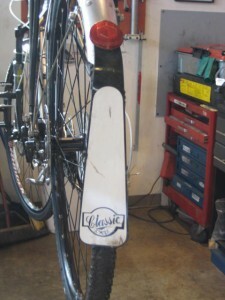 Most of our fenders come with free installation too. Need a way to carry your junk? Come check out our selection of bicycle racks (we also have car racks, but more on those later). 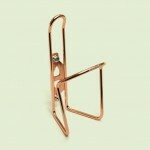 We stock racks from Tubus, Planet Bike, Topeak, Velo Orange, Axiom and others. Mainly, we pick racks that will fit on all of the different types of bikes and sizes of bikes out there. Not sure what you need? Roll your bike in, and we will help you narrow down the selection to the racks that will fit your particular ride. 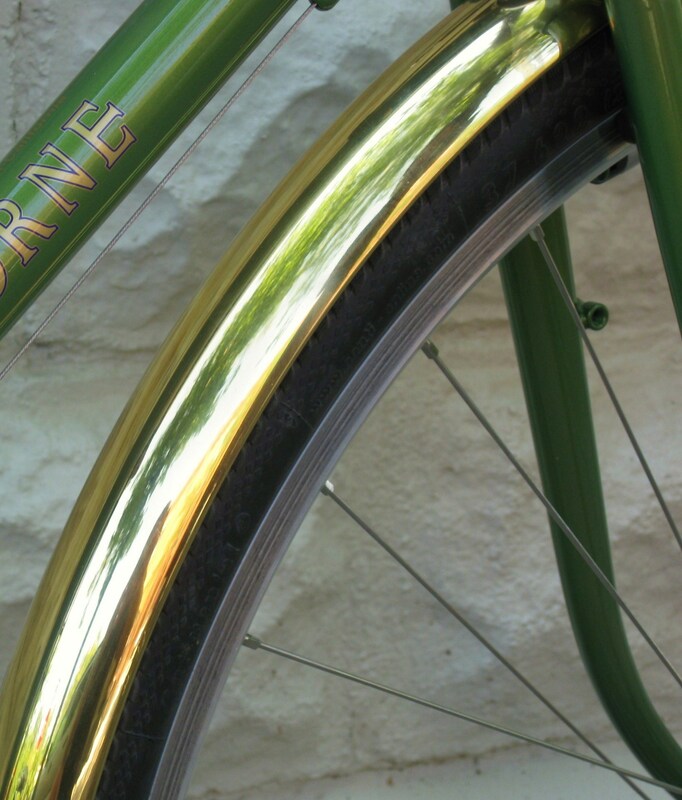 Need that perfect crowning touch for your bike? Sometimes it has to be just the right thing. 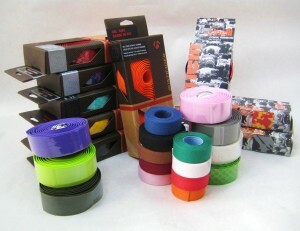 The perfect color handlebar tape. Just the right saddle. A bottle cage that matches the pinstripes on your frame. We understand. 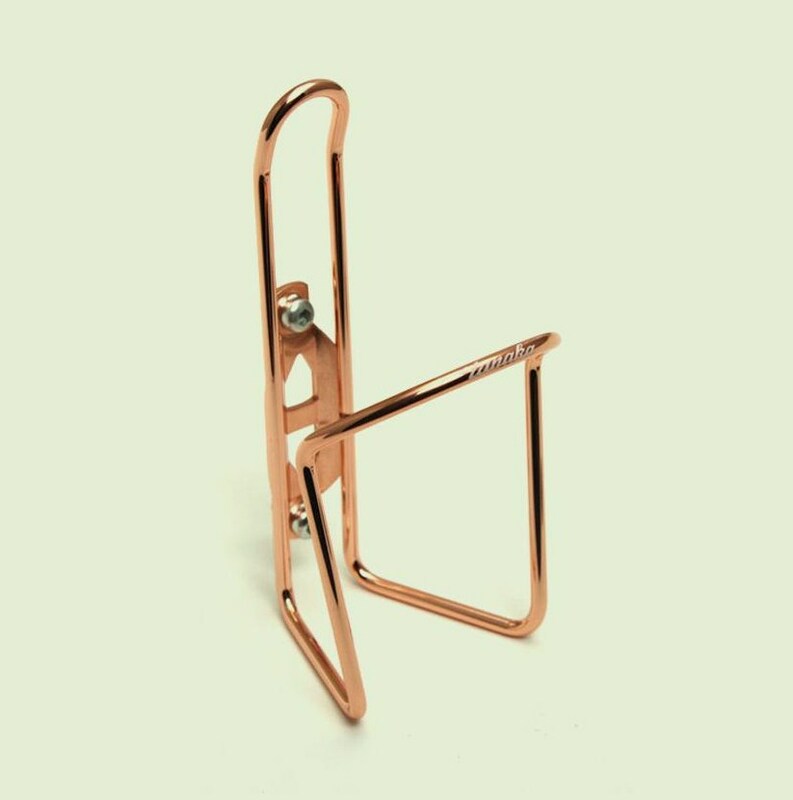 Not content with chrome and polished aluminum for our metallic choices in bike accessories, we sought out some neat copper and brass goodies. Imagine this scenario: You want to ride your good road bike out to the Apple store in University Village to buy a cozy for your new phone. 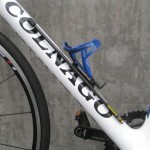 How are you going to lock up your Colnago once you get there? No way the clerks are going to let you roll your bike in the store. It’s a long ride and you don’t feel like carrying a messenger bag, and there is no way that you’re draping a U-lock over your carbon handlebar for an hour long ride. We have a solution. 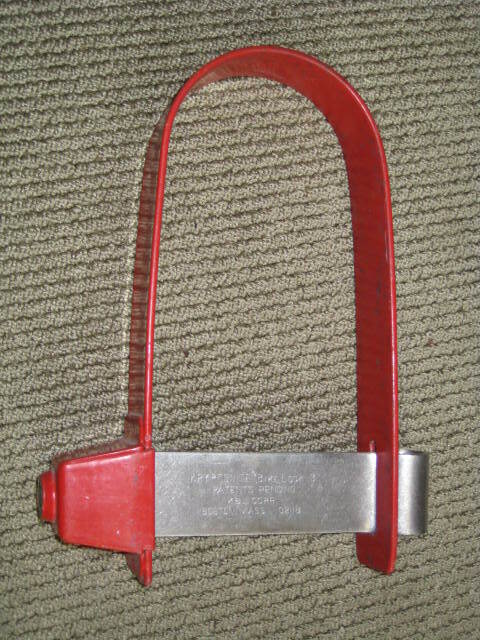 The Kuat bottle lock. 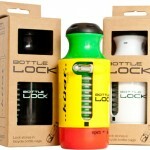 The bottle houses a spooled-up cable and lock mechanism. It rides in a water bottle cage, so it won’t rattle or hurt the paint on your bike, and it is reasonably light (but not too light, if you catch my drift). 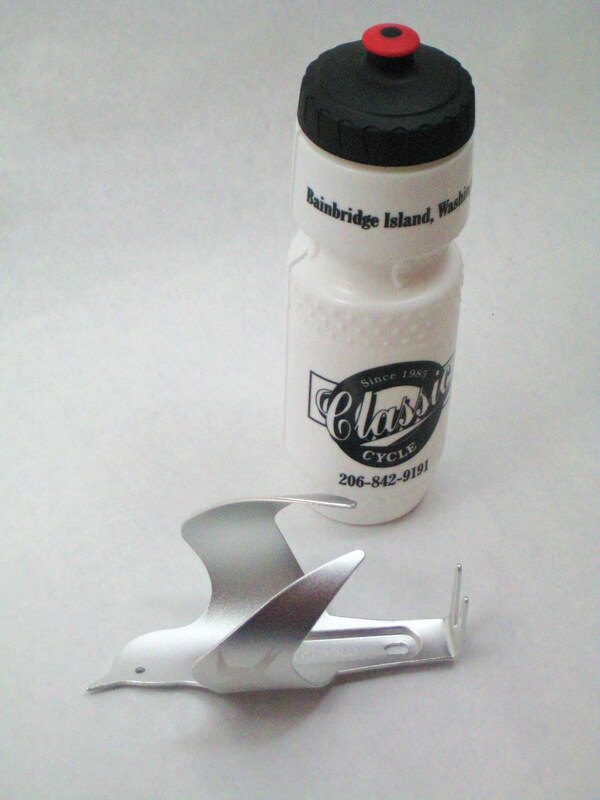 Ever wonder what we do with the old worn-out bike parts that we take off during repairs? We don’t throw that stuff away. Popped tubes go to Alchemy Goods over in Seattle (they make wallets, belts and other goodies out of them) and worn-out chains get sent to Resource Revival. Resource Revival makes some really fun things out of our old bike junk. They make neat bike-chain bracelets with a convenient and safe clasp (don’t make your own. Rivot a complete chain around your wrist, and you’ll have to chew your hand off if you ever get it caught on something). They make photo frames in various sizes and shapes, and they make bottle openers. The best items are their little bottle openers. 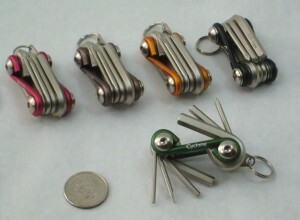 Keychain size or full size, they work great and look cool. 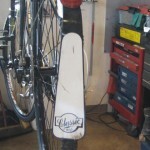 Crud Road Racer fenders fit on virtually any road bike thanks to an innovative floating mounting system. The fenders hover in place above the tires with small brushes running against the rim sidewalls, ensuring they stay put. By getting rid of the traditional hardware they lower the weight and reduce vibration and noise. 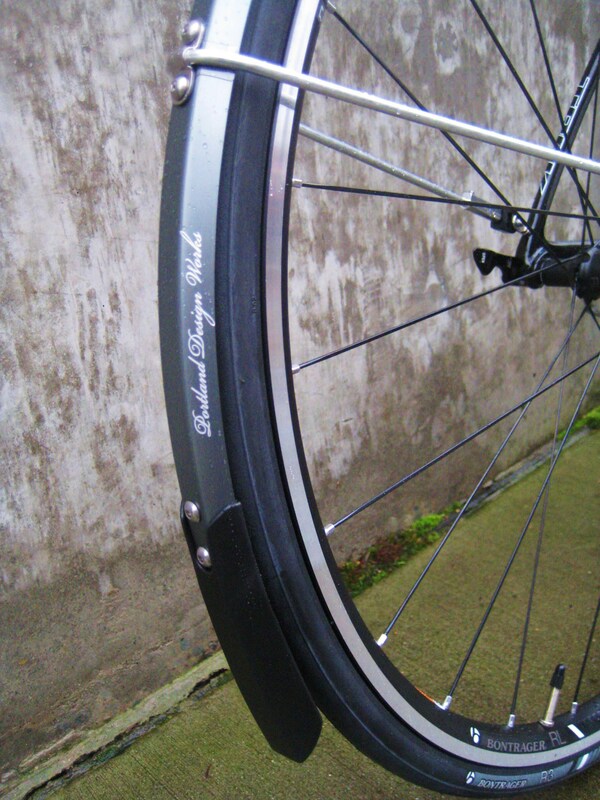 Full length coverage keeps you dryer than Planet Bike’s shorter Speedeez design. Finally we found an energy “bar” that doesn’t taste like sawdust! 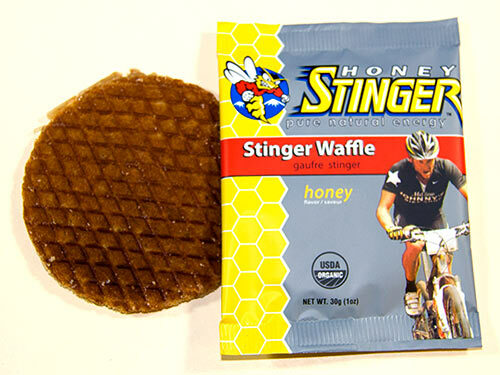 Try the Honey Stinger waffle on your next bike ride. They are made just like your Belgian soigneur used to make when you were racing for Thermote & Vanhalst. 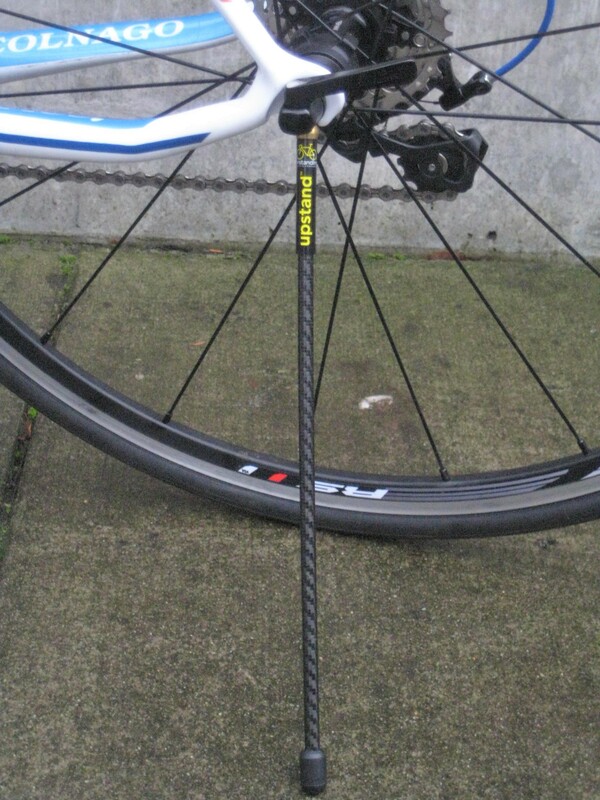 Never raced your bike in Belgium? Well, you can pretend while you eat these things. Trust us. 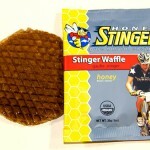 You would have needed something supremely tasty to make bike racing in Waregem seem like fun. 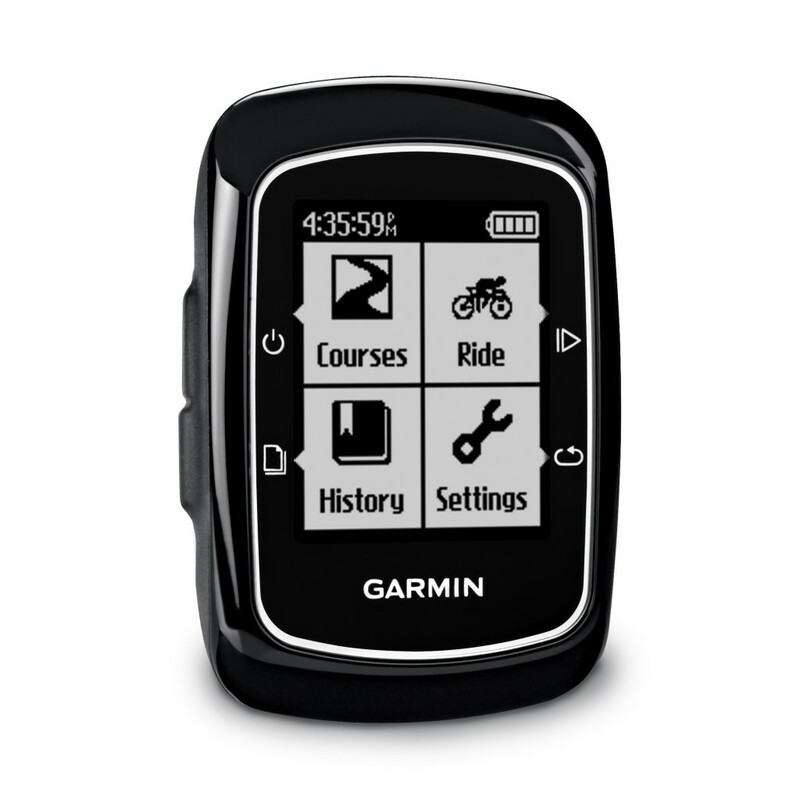 The Garmin 200 offers a simplified interface that’s designed to cater to technophobes or more casual cyclists. The 200 constantly shows you three lines of information: current speed, trip distance, and ride time, and one additional line at the bottom of the screen that can toggle between average speed, altitude gain, and calories burned. A pace arrow also indicates whether you’re moving faster or slower than your average speed. 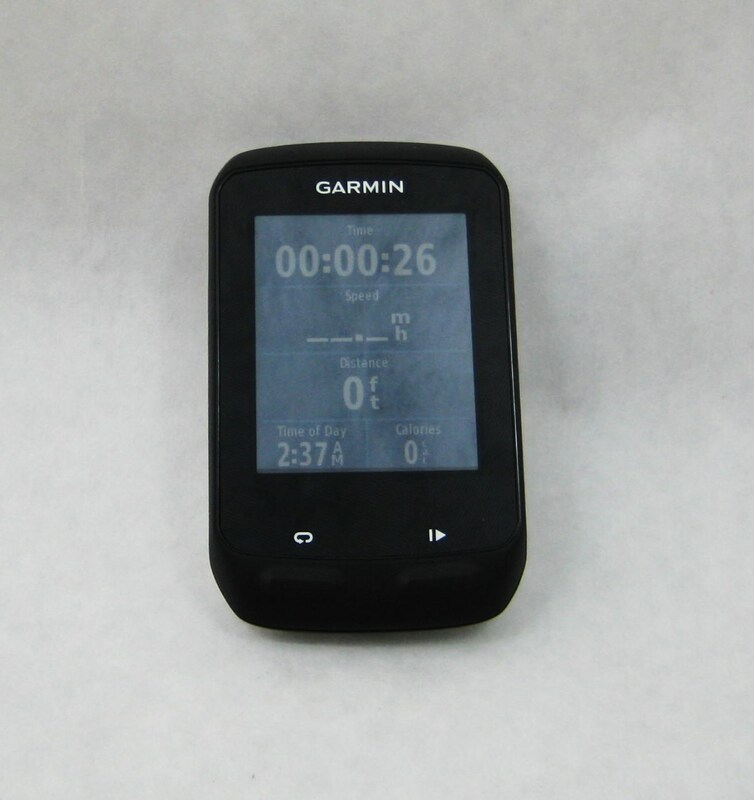 The 200 is simple, but it is still a GPS, so you can map and analyze your ride on the computer at home. The Edge 510 will give you GPS position, speed, distance, elevation, stopwatch and clock. It has an altimeter to track how much climbing you do as well as the gradients on those nasty hills. The 510 will also display the current temperature and (if you’re on a realllly long ride), changes in time zones. When paired with a heart rate strap it can track changes in your heart rate and can calculate the number of calories burned. Like all Garmins, there are no wires, magnets, or complicated mounts to deal with. The touch-screen works really well, even with cycling gloves on. The Edge 810 is the best bike GPS unit we’ve ever used. 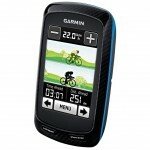 It has all of the features found on Garmin’s less expensive models, plus a number of extras. 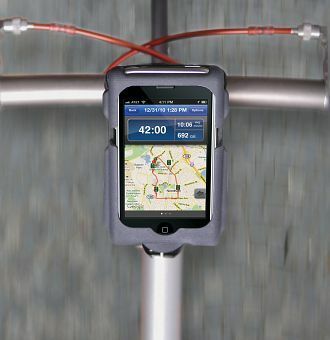 It shows easy to read maps and route directions, wattage, heart rate, elevation, and all of the other bike computer functions through a customizable color touch screen. It’s tough, waterproof, and the screen doesn’t scratch. 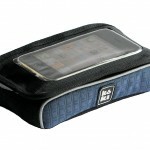 It is designed with logical menus, and the touchscreen is easy and fun to use. 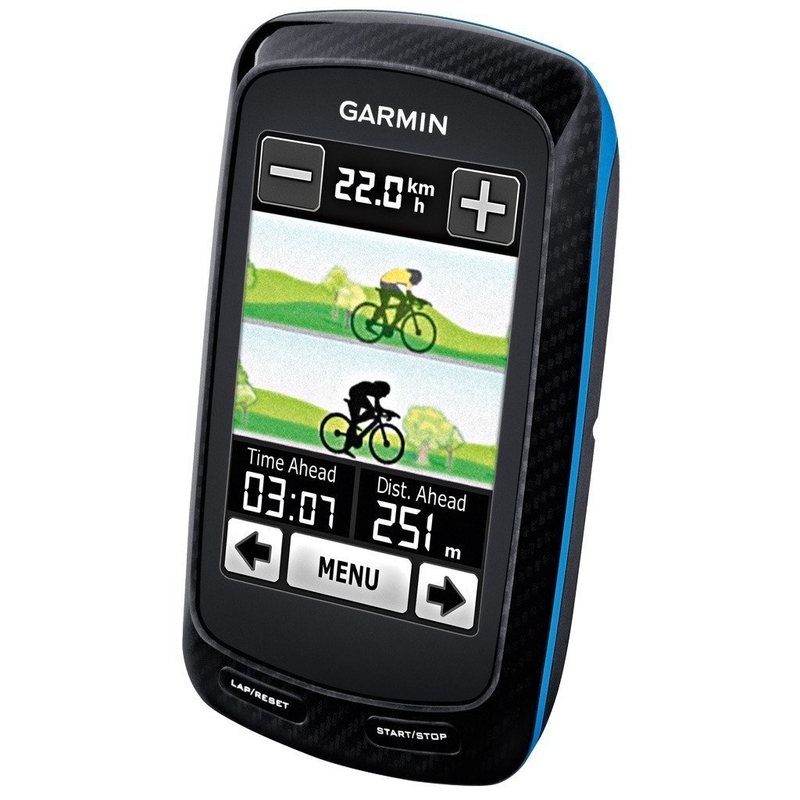 Classic Cycle’s prices on Garmin are probably the same or slightly higher than those you’ll find online, but if you buy from us, we’ll install your new GPS on your bike and show you how to use it. 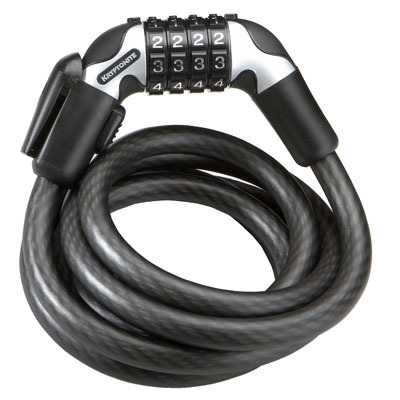 Want to keep your bike safe? 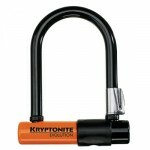 We have a wide selection of locks from Kryptonite and Kuat. From user-friendly cable locks to heavy-duty U-locks that are virtually unbeatable, we have options for you. You can be sure the locks we carry do their job. We have one of the first generation Kryptonite U-lock (circa 1973) in the museum, still in working order. Are you going through Tour de France withdrawal? Come down and get a cycling video to watch. We have all of the classics. 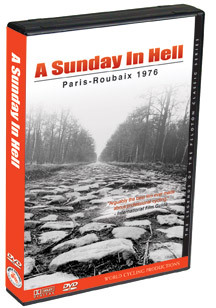 A Sunday in Hell, The Fausto Coppi Story, The Impossible Hour, Stars and Watercarriers, The Six Day Bicycle Races, La Tete en Course, The Jacque Anquetil story, 23 Days in July, Breaking Away, The Bicycle Thief, Pee Wee’s Big Adventure, American Flyers, Quicksilver, the Triplets of Belleville, BMX Bandits and many more. As for specific race videos, we have multiple years of the Tour de France, Paris-Roubaix, Liege-Bastogne-Liege, Fleche Wallonne, Ghent-Wevelgem, Tour of Flanders, Milan-San Remo, Giro di Lombardia, Het Volk, the Coors Classic, and the World Championships. Portland Design Works does it again! One of the coolest little baskets we have seen, the takeout basket is about the size of a six-pack, comes with a waterproof bag that you can wrap your cargo in, and is sturdy enough to carry even the portliest Pug on the front of your bike. Do you know what we do with all of those flat bicycle innertubes that we replace? We send them over to Alchemy Goods in Seattle. Do you know what they do with them? They use them to make cool new things. Alchemy uses our old bicycle tubes to make wallets, belts, backpacks, purses, dopp kits, messenger bags, and the occassional cat collar. We keep a lot of this stuff in stock. 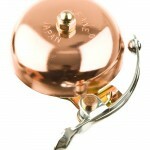 Beautiful and functional items, and they make great gifts. Buddy flaps are mud flap extensions that you put on your fenders. 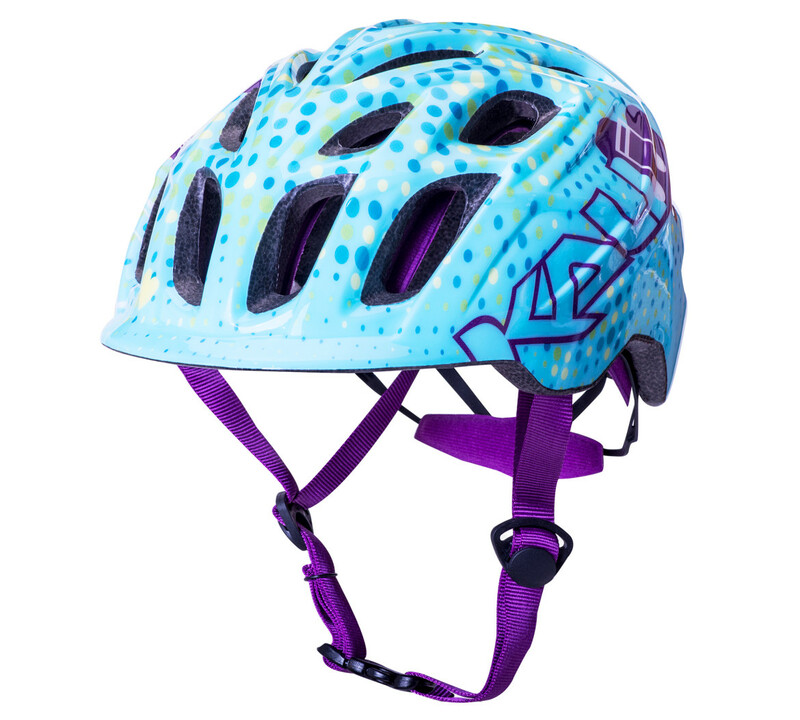 They help keep the spray from hitting your riding buddies in the face. While we may not be the only Kitsap county bike shop to have their own custom mud flaps, we certainly have the most ”Classic” design. Sometimes your bike wants a ride. Put it onto a new car rack, and you and your bike can go on vacation together, discover far-away trails, or get to the race venues in style. We stock car racks from Softride, Saris, and Renniks, and can get you Yakima and Thule products in just a couple of days. You remember books, don’t you? Like web pages only they don’t move around? 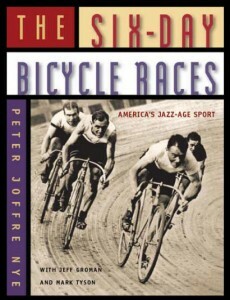 Anyway, if you have a bicycling related question, we have a book that will answer it. We have ride guides galore. Whether you are planning a bike ride around Kitsap county, northern Wisconsin or central France, we have a guide book for you. There are books that concentrate on the best road rides and places to stay, as well as mountain bike trails in prime destinations. We have how-to books for fixing your bike, packing for a tour, training for your first triathlon, and finding racing sponsorships. We have history books, of course. 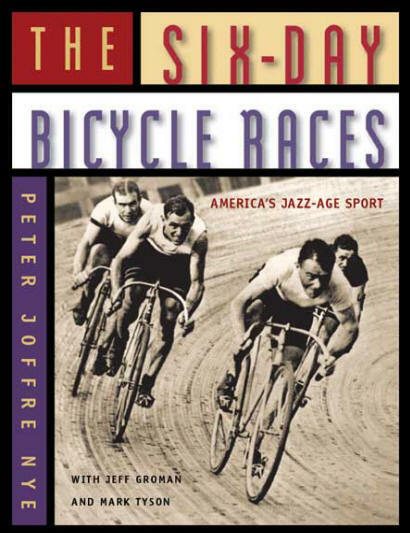 Bicycles and bike racing has been around for over 125 years now, and we have books that document every facet of the sport (some of those books even document the bicycles that hang on our walls). We have some books just for fun, too. How long has it been since you read Curious George Rides a Bike? Keeping your drivetrain clean and well-lubricated will save you money. Bicycle parts can be expensive, and grinding them away with Seattle grime or Kitsap County mud will cost a lot more than just buying a bottle of lube. 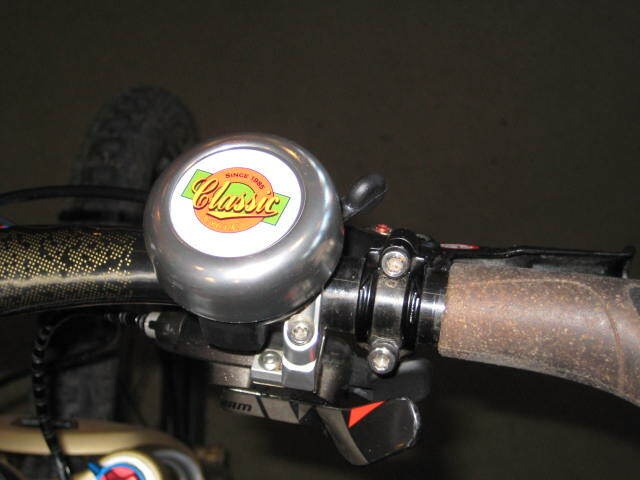 We have all of the most popular options here at Classic Cycle. 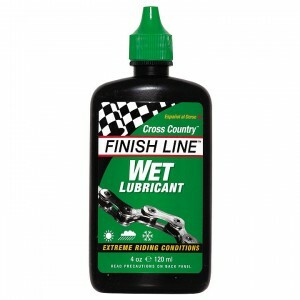 Chain lubes from Boeshield (Boeing), Pedros, Finish Line, Pro Link, Tri-flow, and Phil Wood. 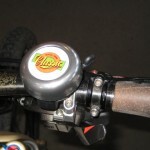 Bearing grease from Park, Finish Line, Pedros, Phil Wood, and Tri-flow. There are lots of options because bicycles can be subjected to lots of different conditions here on Bainbridge Island. We can help you choose a chain lube for riding in all of them, from light drizzle, to intermitant showers, to driving rain. Oh yeah, we also believe that a clean bike is a happy bike, so we have degreasers and cleaning supplies too. You didn’t think we were going to send you out on a bike ride around the Kitsap Penninsula without a water bottle or two, did you? 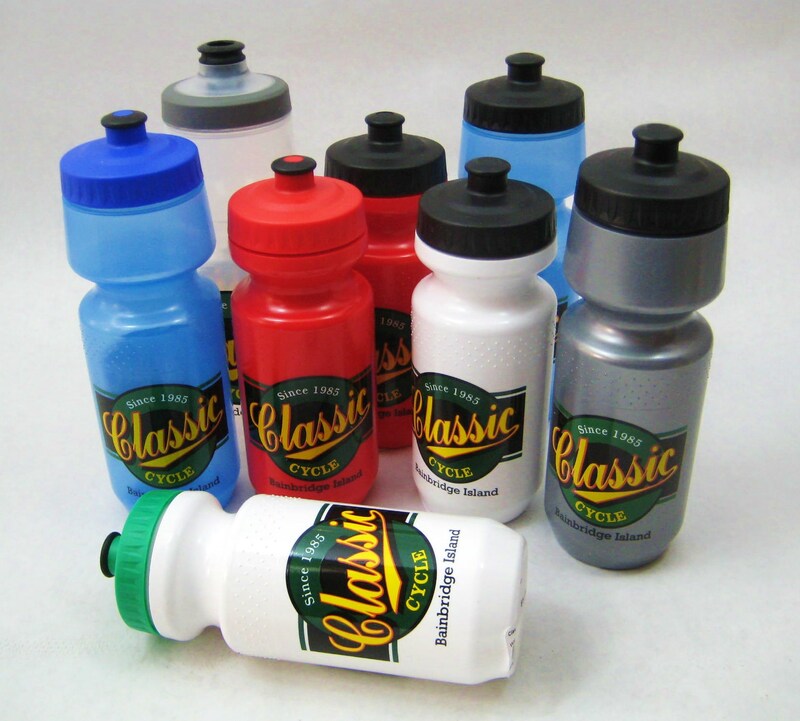 We’ll get you all set with standard bicycle water bottles, as well as Clean Canteen stainless steel bottles, Stanley stainless steel or plastic insulated bottles, Clean Bottle double-ended bottles, and Polar insulated bottles. 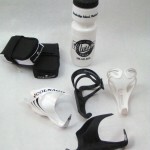 We have water bottle cages from Tacx, King Cage, Planet Bike, Velo Orange and others. 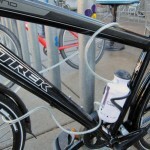 There are cages available for odd size bottles or travel mugs and different types of handlebar mounts or seatpost mounts if you want your drink closer to you. 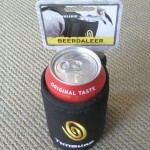 We also carry Camelback products if you would prefer hands-free convenience. Every bicycle needs a bell, and we have dozens to choose from. Bells that light up. Bells that chime. Bells made of brass, copper, steel, plastic or aluminum. Wooden bells that sound like someone is knocking on the door. Are you too little to work a bell? Too obnoxious? We’ll pick out a horn instead. We have a collection of travel mugs, stainless steel water bottles, flasks and thermoses (thermi?) from Stanley. Stanley is one of the title sponsors of the U.S. Gran Prix of Cyclocross. Since the U.S.G.P. 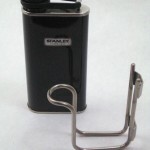 is our favorite bike race series bar none, and Stanley happens to be a Seattle based company that has always made such cool products, it seemed like a natural fit. 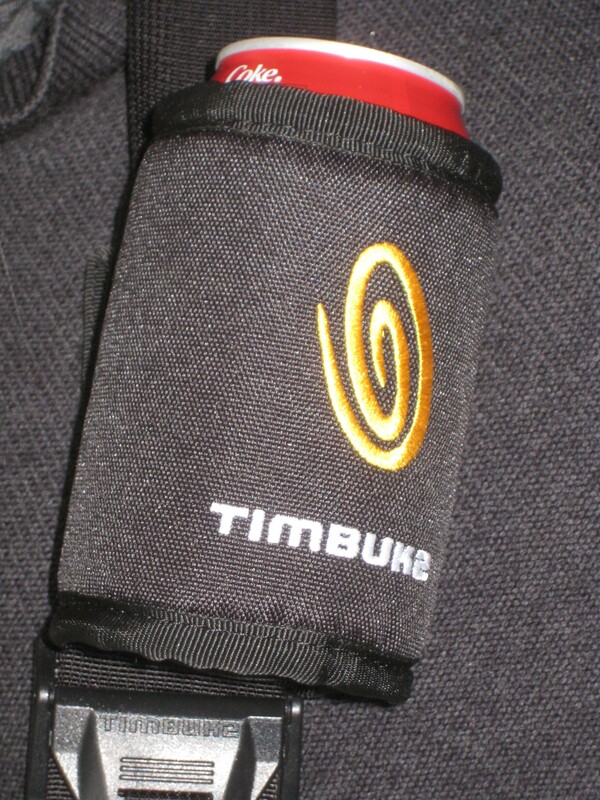 We also happen to stock cages that will allow you to carry your thermos (or flask) on your bike. Imagine that. You are riding your bike to the Saturday farmers market and need to carry your goodies home. You have a chihuahua that loves to go bike riding with you, but is tired of getting stuffed in the top of your backpack. Your old mountain bike doesn’t get ridden anymore but maybe it will if you turn it into a grocery hauler. We have baskets. Lots of bike baskets. Wicker baskets, faux wicker baskets, wire baskets, plastic baskets, wooden baskets. 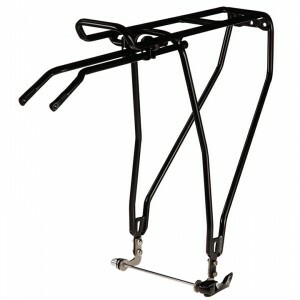 We have bike baskets that mount on the front of your bicycle or the back, and we’ll install them for you. 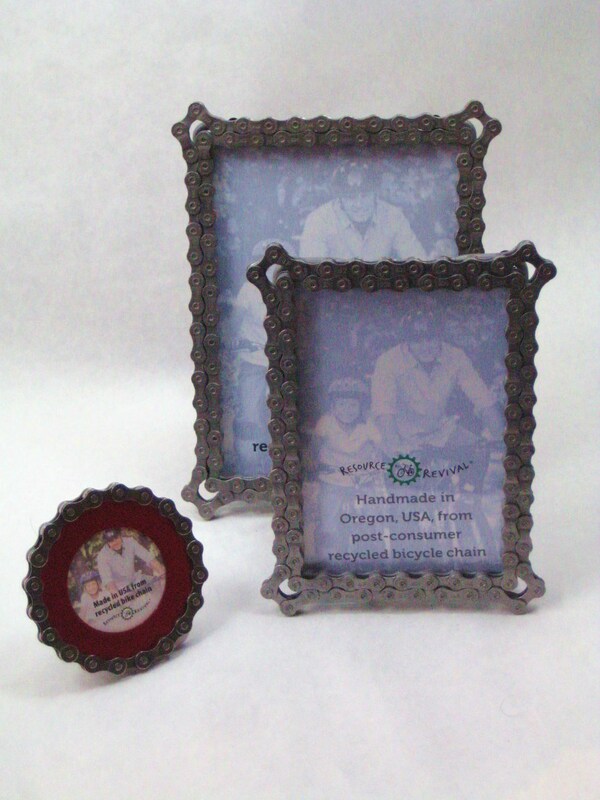 O.K., If you are a cyclist who uses a mirror when you ride, you have a favorite mirror. So we stock them all. 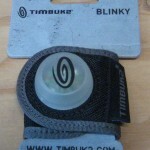 Blackburn, Mirrycle, Take-A-Look, EVT, Cycleaware, Sprintech,Third Eye, etc… No problem. 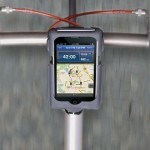 We have bike computers, heart rate monitors, power meters, and GPS systems for your bike. 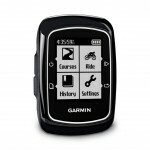 Garmin makes the best and easiest to use GPS computers around, and we stock a variety of them. Need a heart rate monitor? 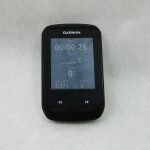 We have computers from Garmin that have the heart rate monitor integrated, as well as products from Lezyne, Cateye and Polar. Want to train with the most useful information? Why not try a power (wattage) meter? 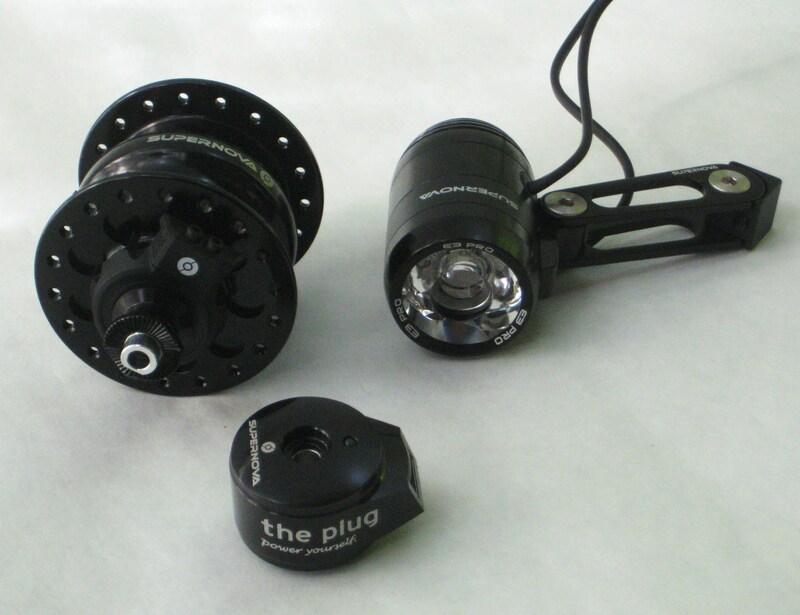 We build wheels all the time with the Powertap hubs, or can set you up with a crank-based meter from SRM, Pioneer, Sram and Shimano help you get set up. And of course, we have simple bike computers from XLC, Lezyne and Cateye for those of you who just want to know how fast or how far you’re going. 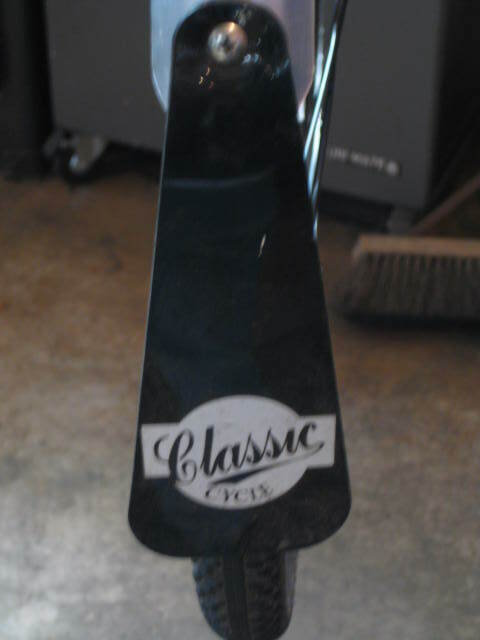 We have a fully stocked selection of tools here at Classic Cycle. As Paul spent years wrenching in bike shops and on the road for racing teams, he knows a properly designed bike tool when he sees one. He picks the best from all of the brands out there. We have tools from Park, Pedros, Shimano, Portland Design Works, Rivoli, Felco, Hozan, Sugino, and more. 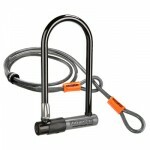 Bike repair stands are available from Feedback Sports (formerly Ultimate stands), Bontrager, and Park Tool. And if you need a place to store your bike after you are done fixing it, we have all of the storage options that Delta can dream up. Come in and get the right tool for the job, and while you are at it, sign up for one of our repair classes. We stock floor pumps, CO2 inflators, frame pumps and mini pumps in a variety of styles, prices, and brands. 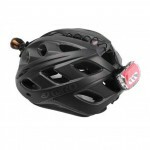 We have pumps from Park, VeloWurks, Lezyne, Pedros, Topeak, Summit and Silca. Each brand has little features that set themselves apart, otherwise, we wouldn’t bother stocking so many different types. 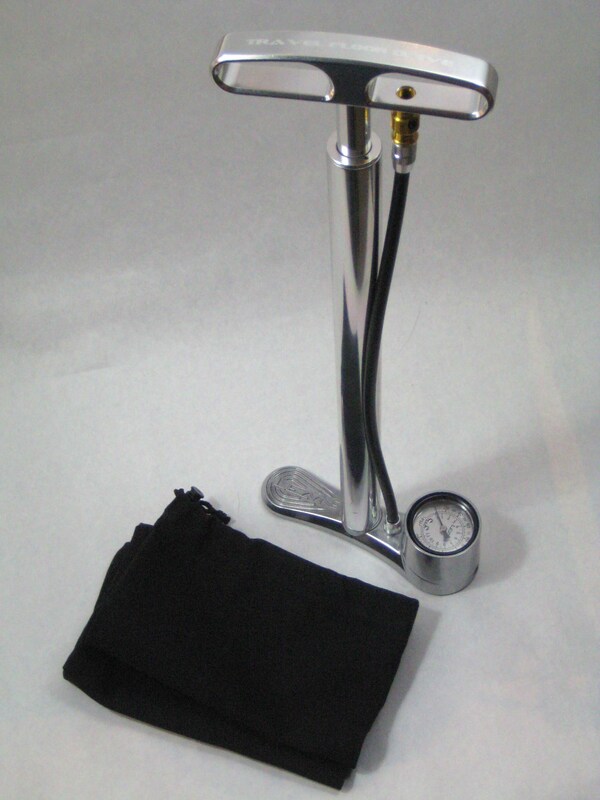 All of the floor pumps we carry have pressure gauges, and work with both presta and schraeder valves styles. Generally pumps are rebuildable if they stop working, and we have all of the small parts needed to fix old pumps or keep new ones working for decades.